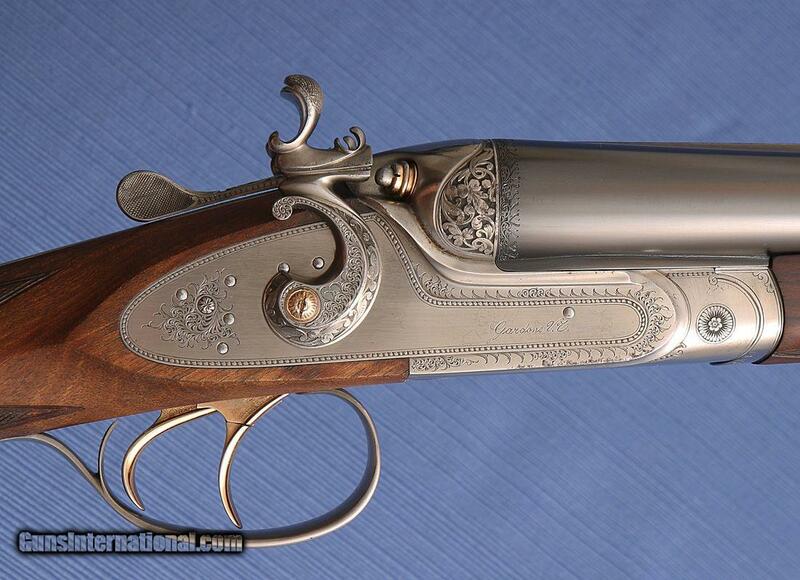 I have a thing for hammerguns, and nice ones like this get me all hot and bothered. 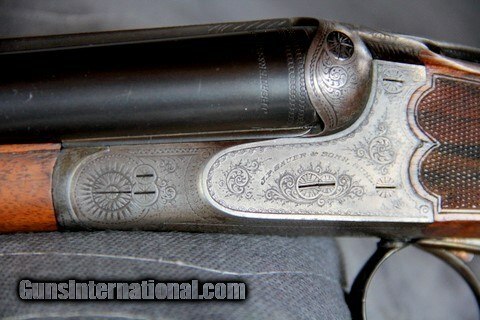 While I couldn’t find any info about the maker’s name on it, it looks like Henry Benjamin knew what he was doing. 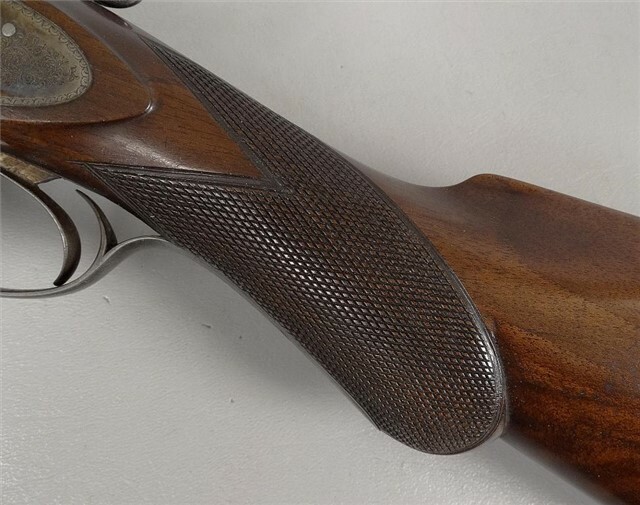 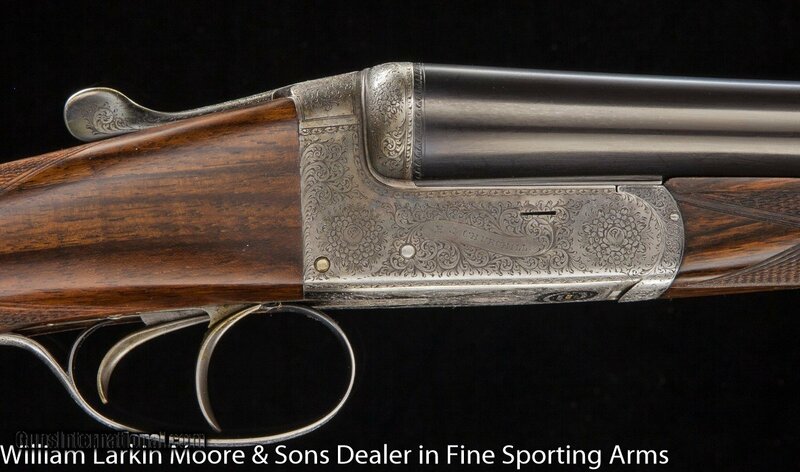 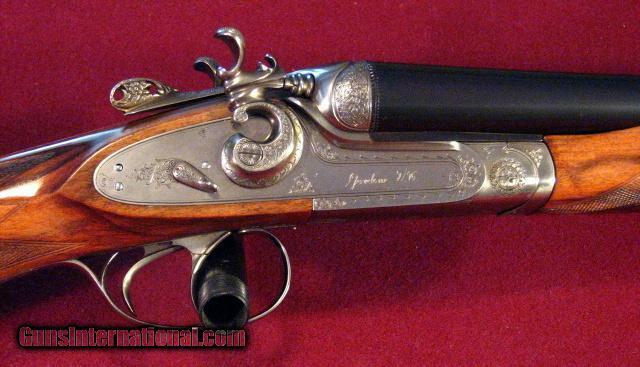 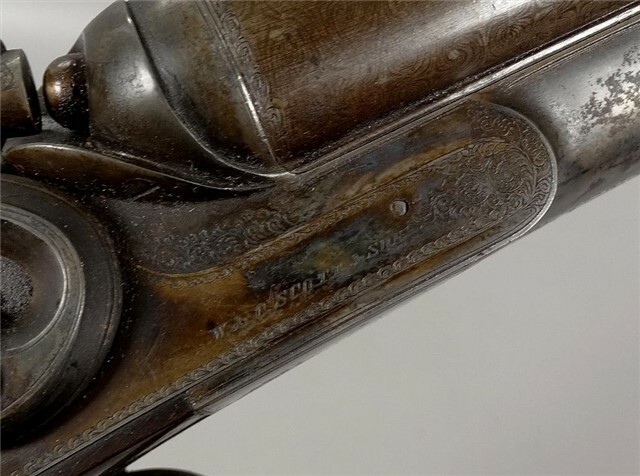 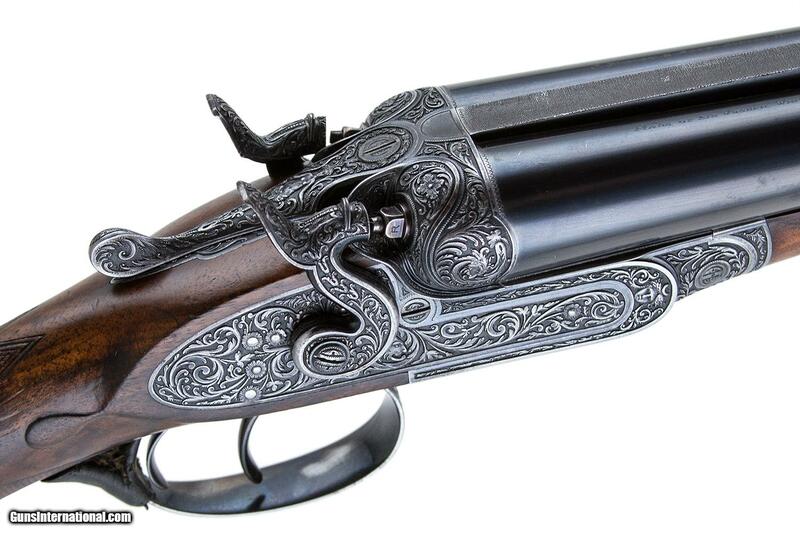 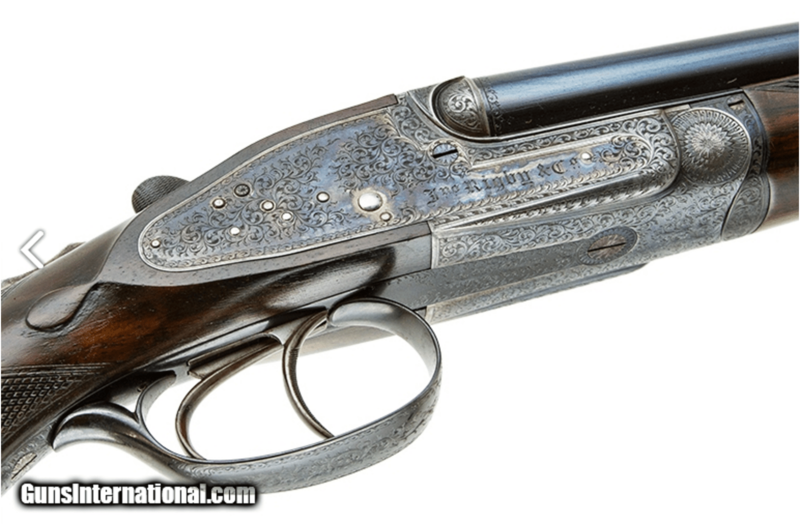 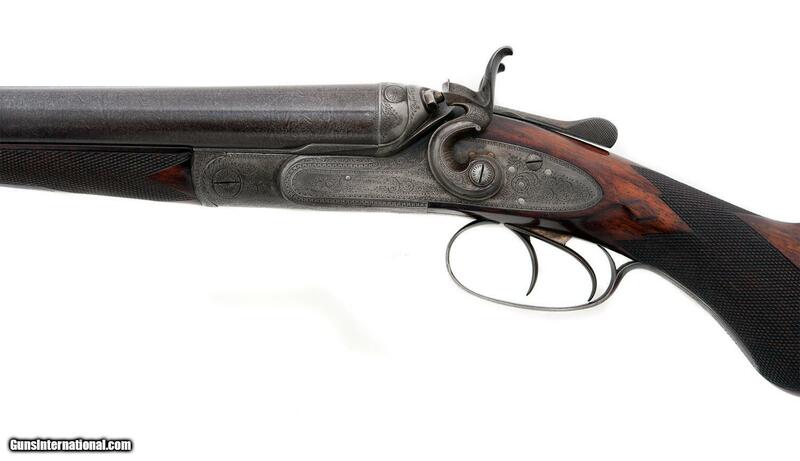 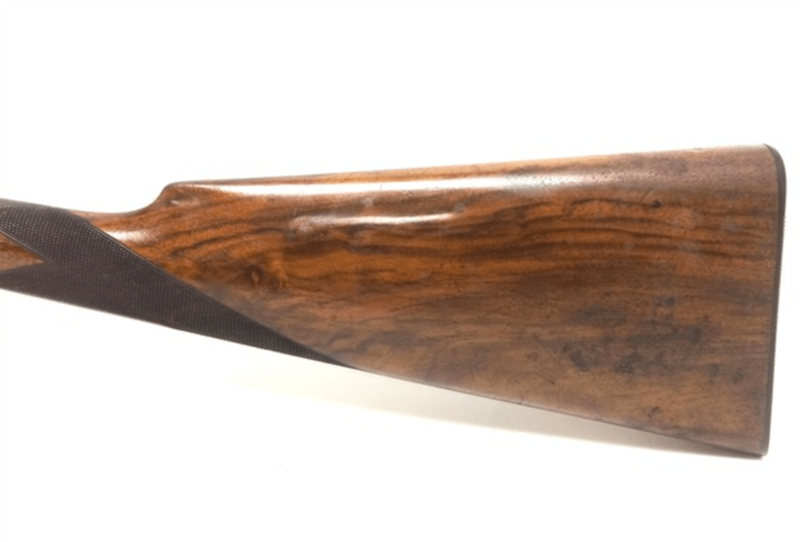 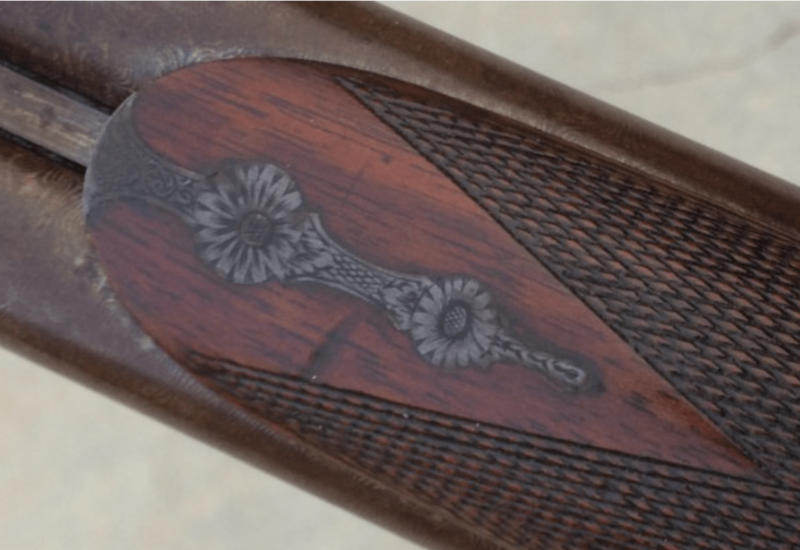 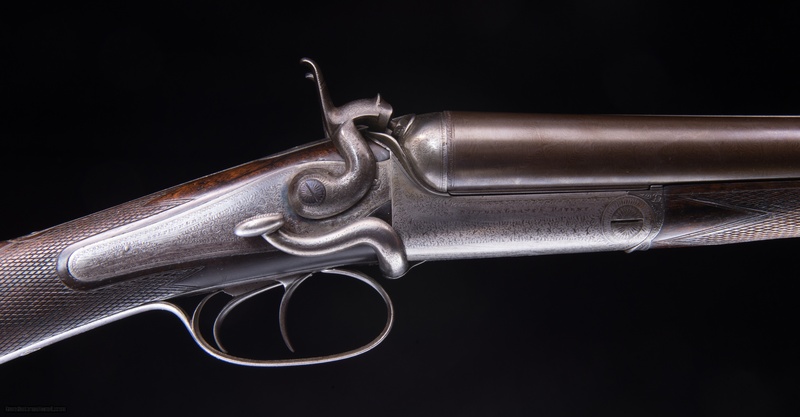 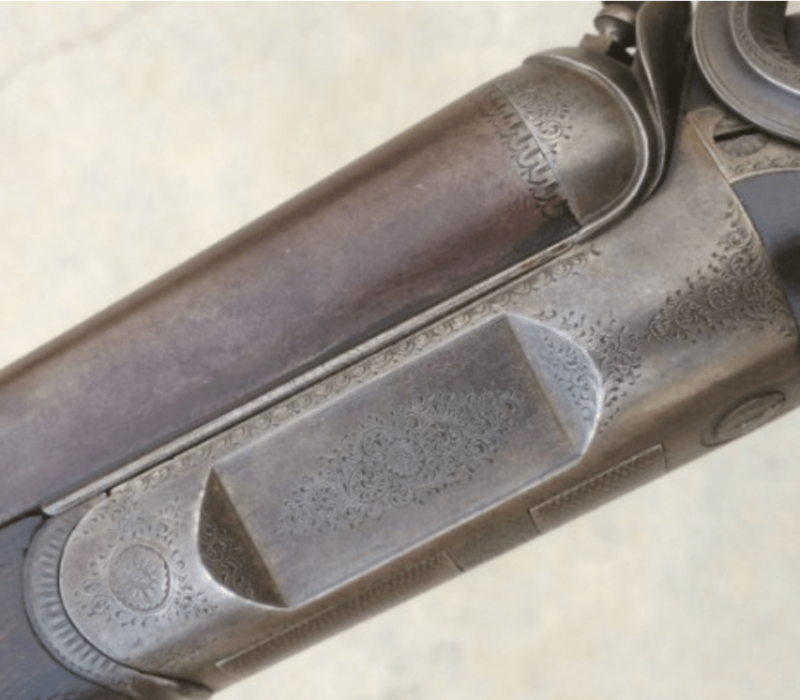 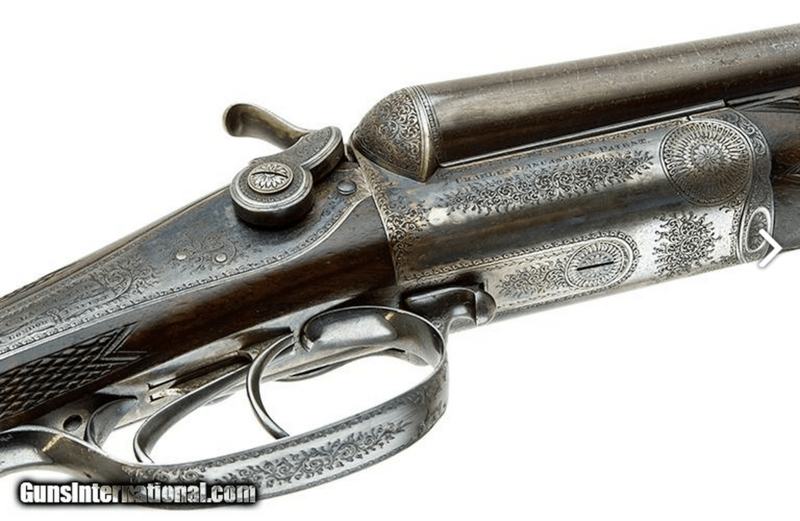 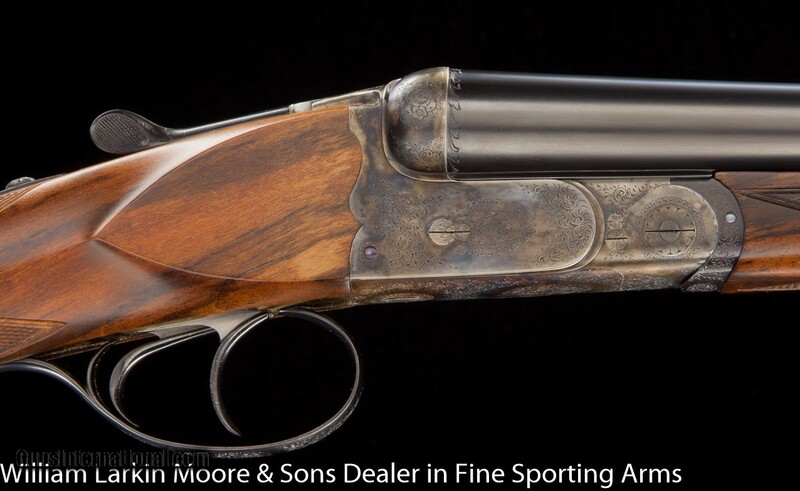 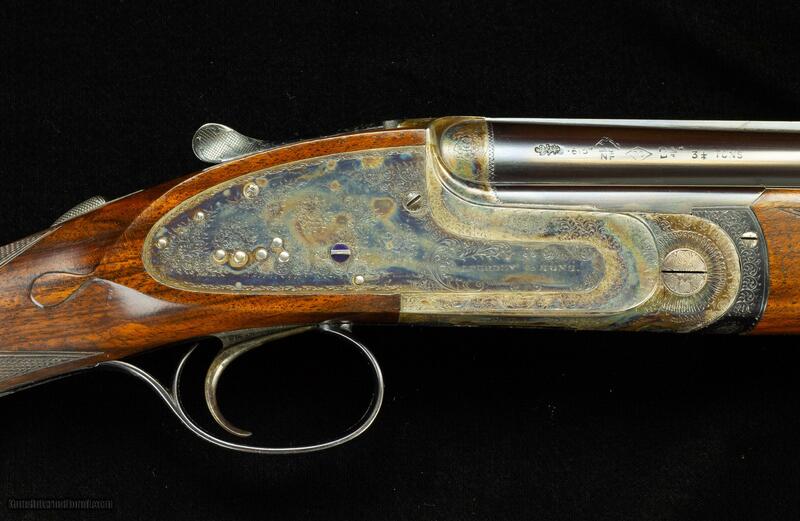 This gun was built back when demand for fine shotguns was strong. 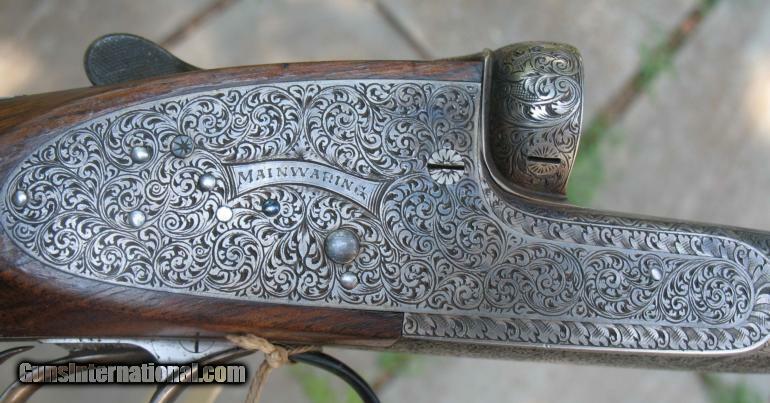 Makers tried to outdo one another to attract clients. 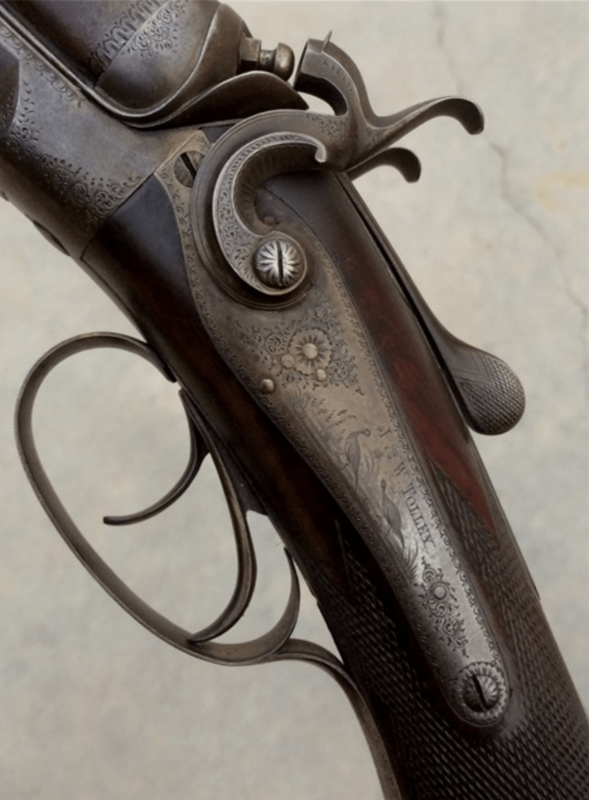 Their workers built lots of guns (largely by hand), and all the experience gave the skills to take their craft to incredible levels. 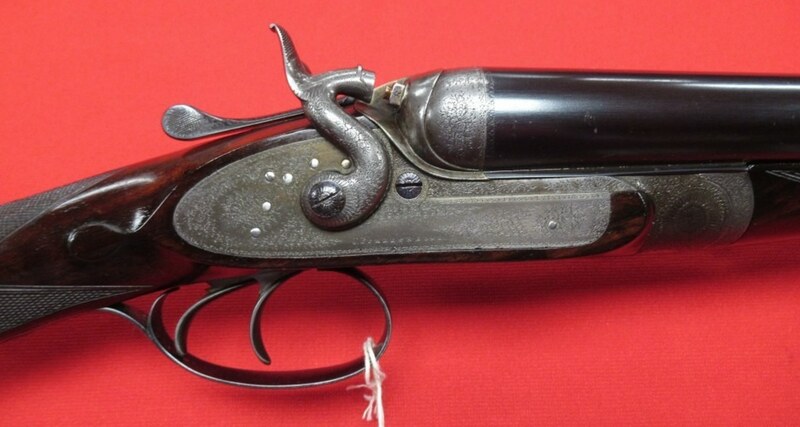 Centerfire, breechloading hammerguns were popular from about 1867-1890. 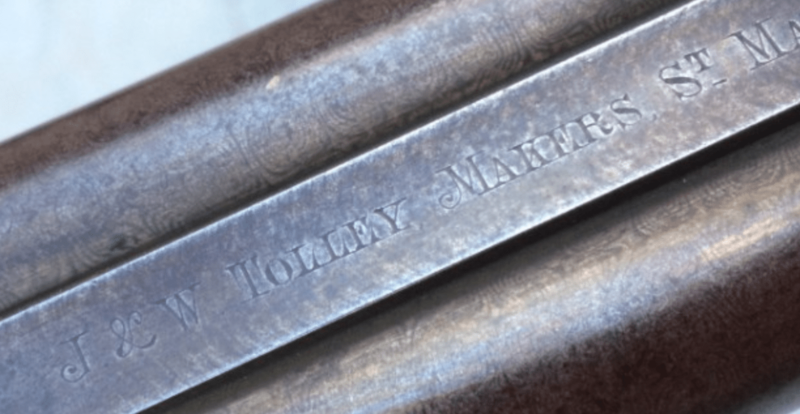 But once makers like Westley Richards, W& C Scott, and James Purdey & Sons introduced reliable, easy-to-use hammerless design, hammerguns were pushed out in the door. 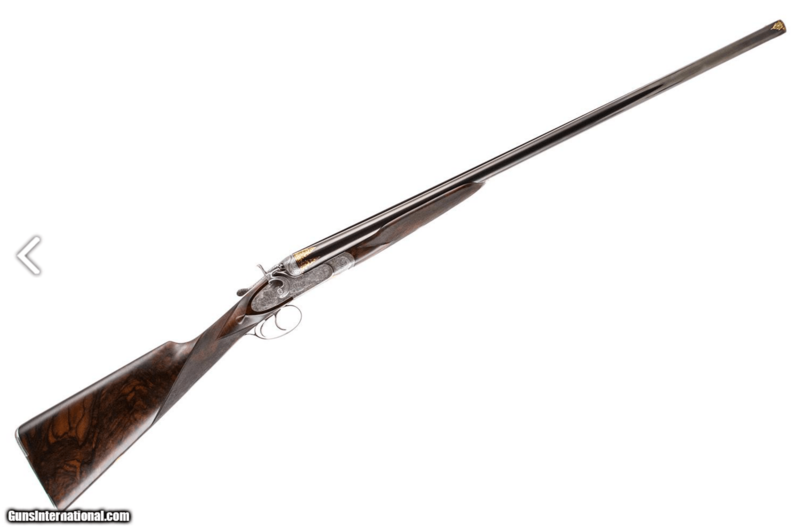 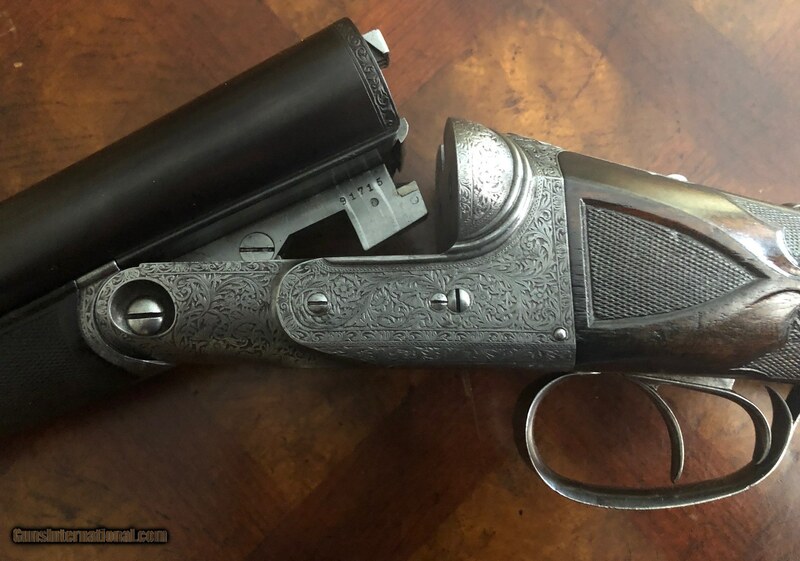 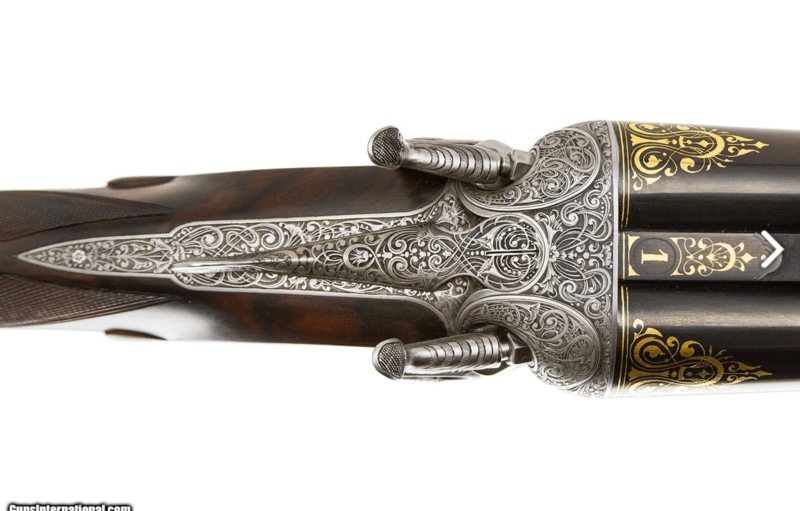 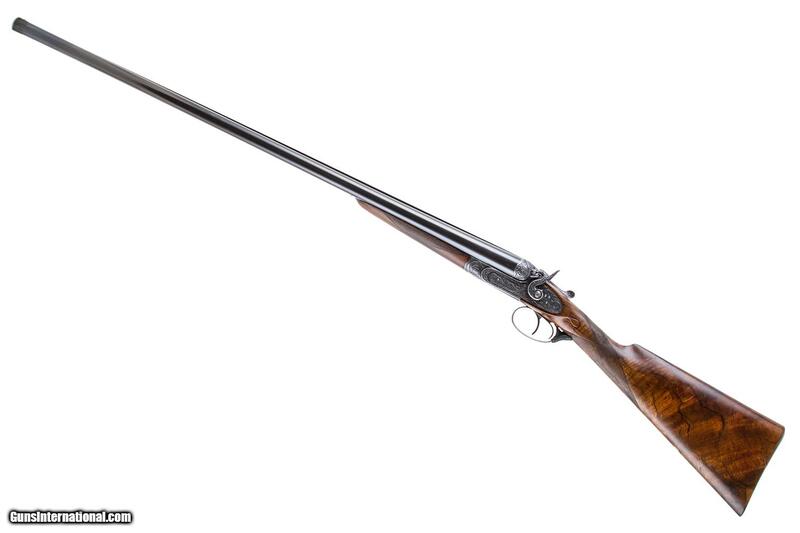 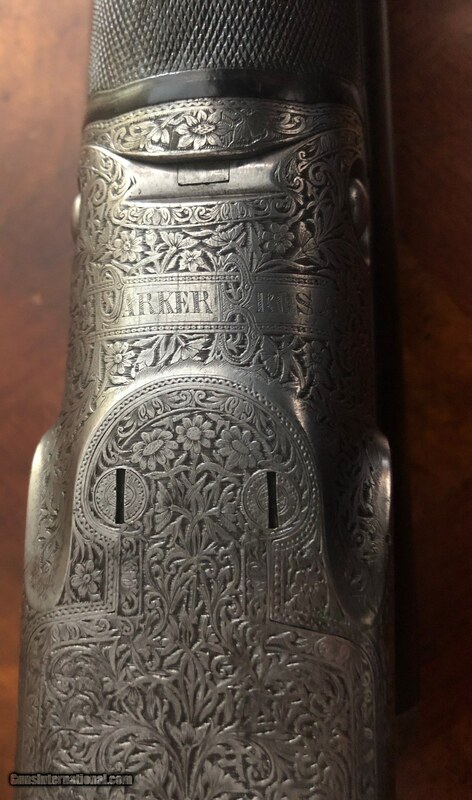 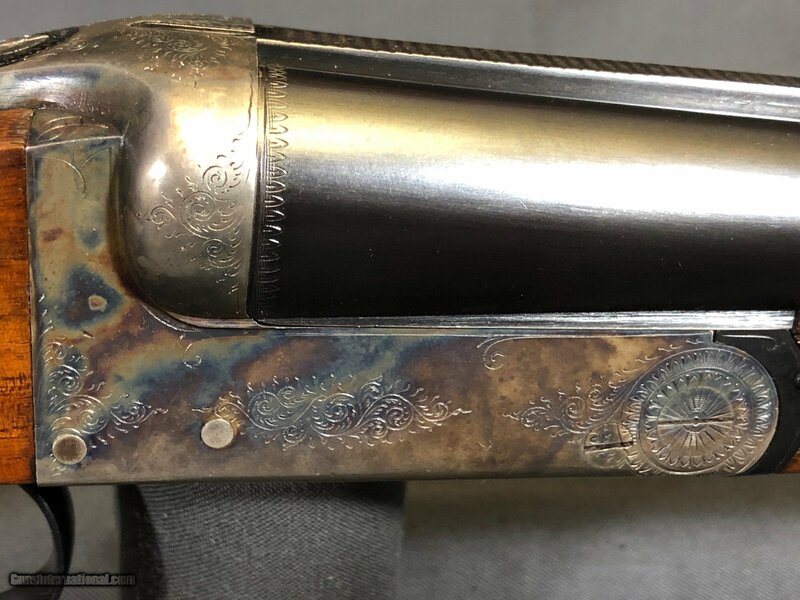 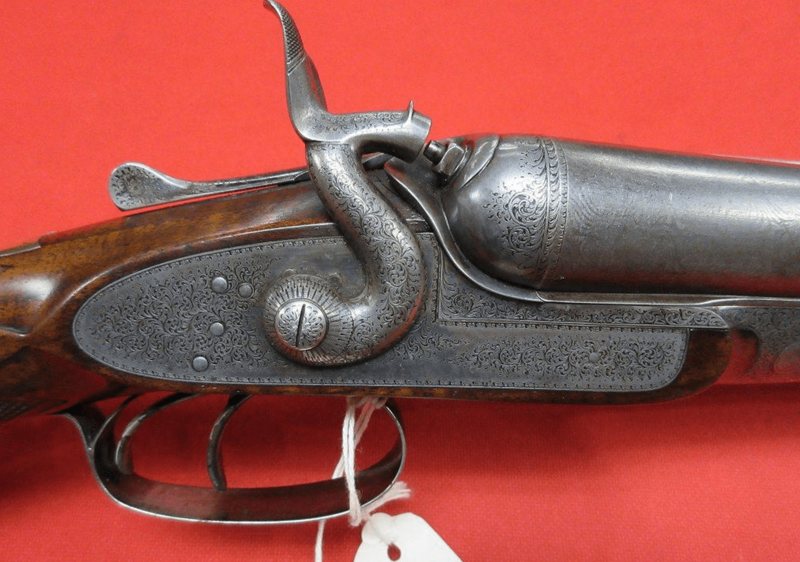 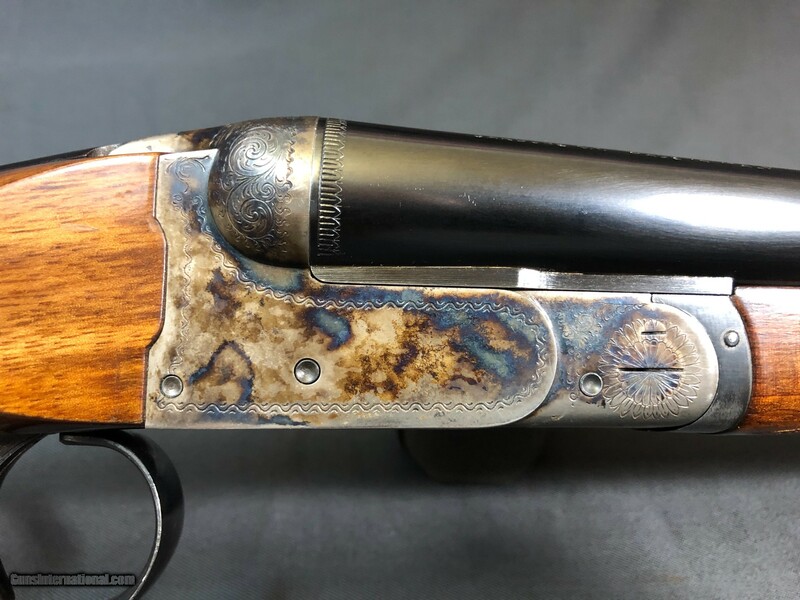 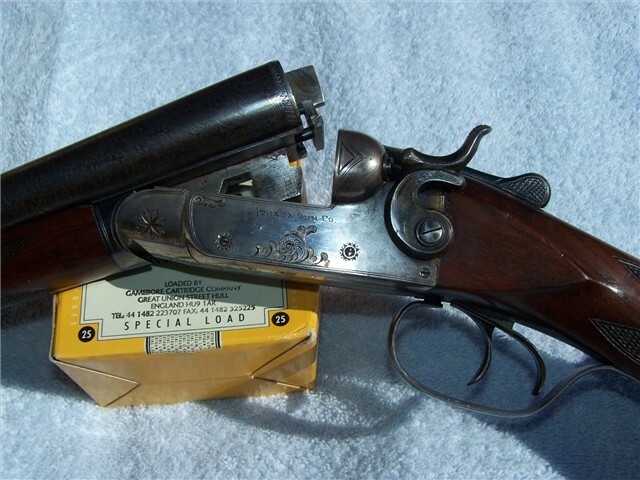 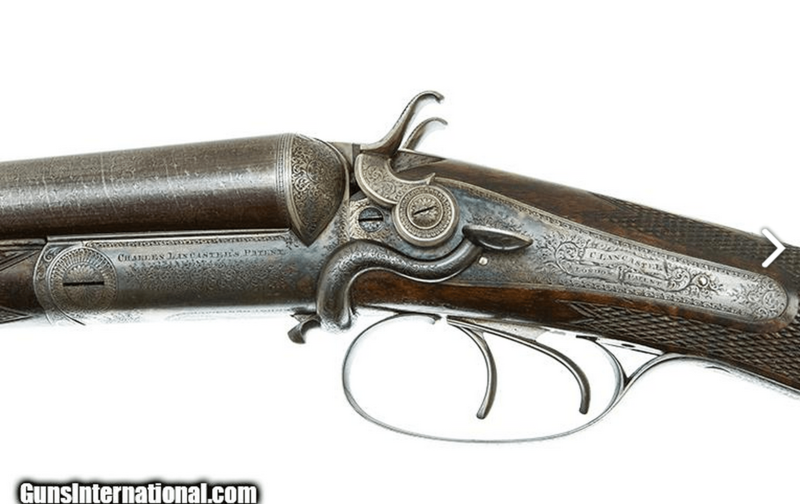 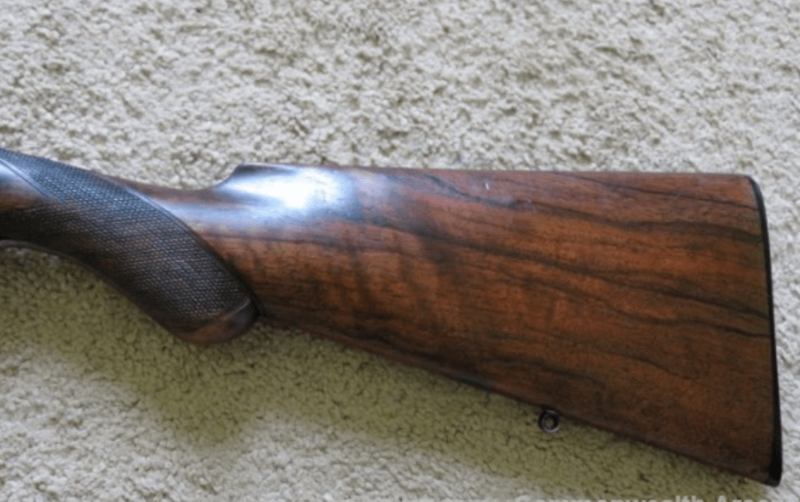 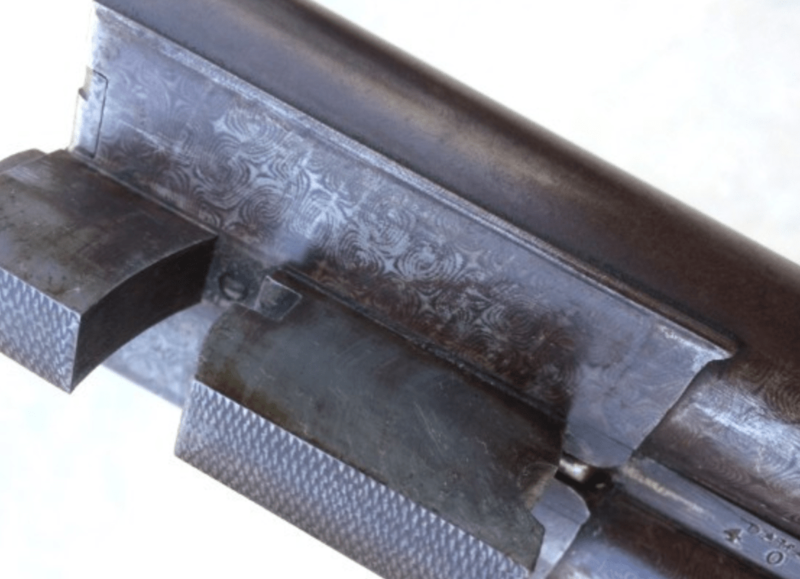 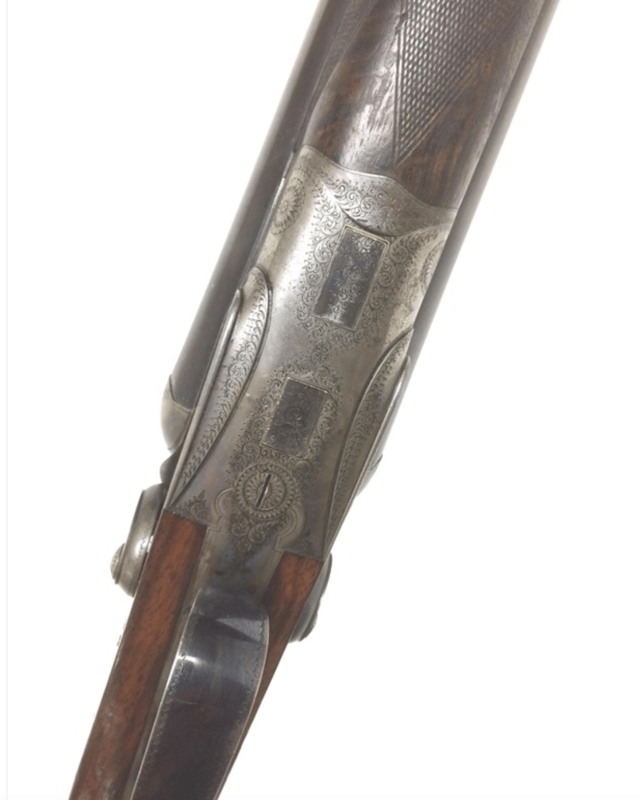 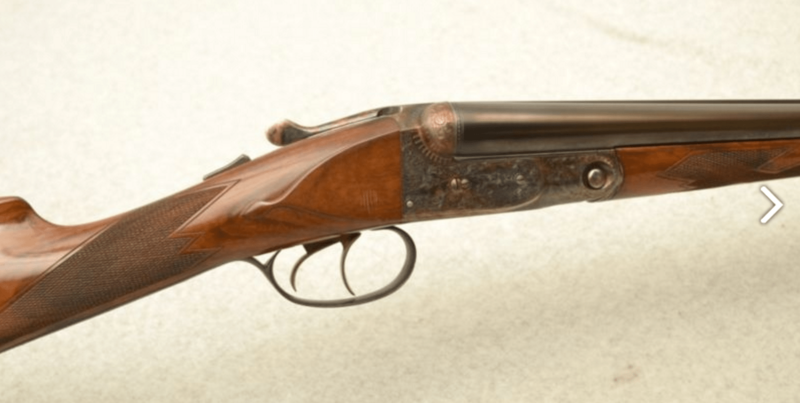 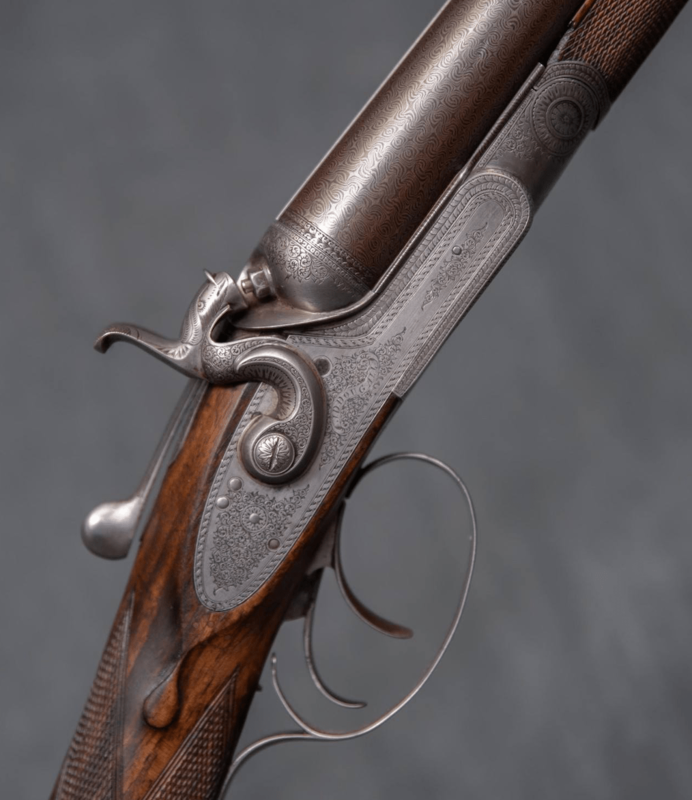 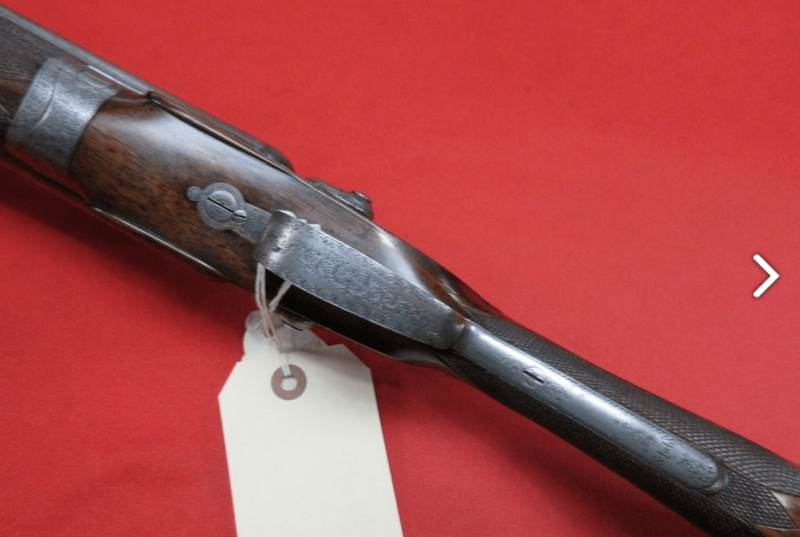 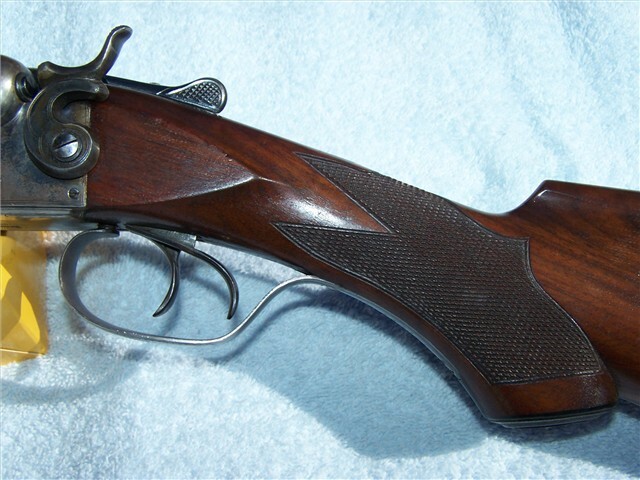 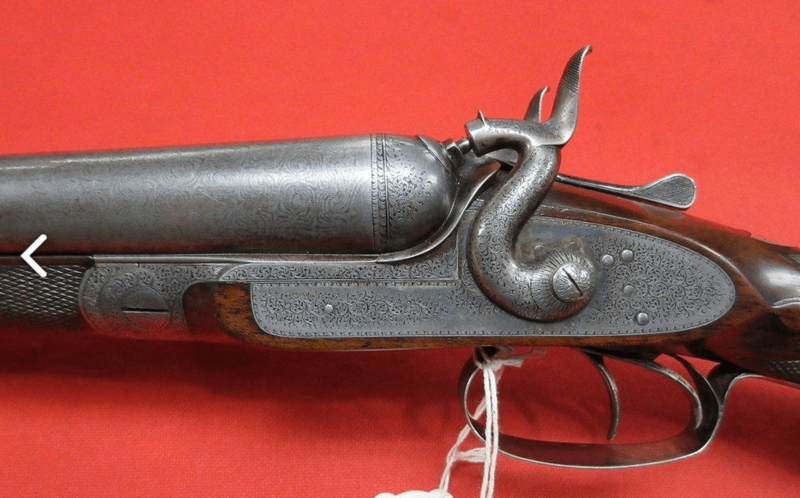 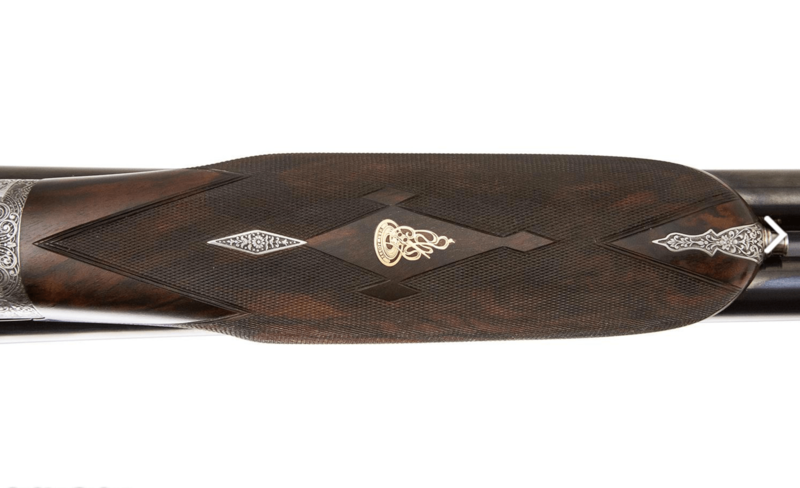 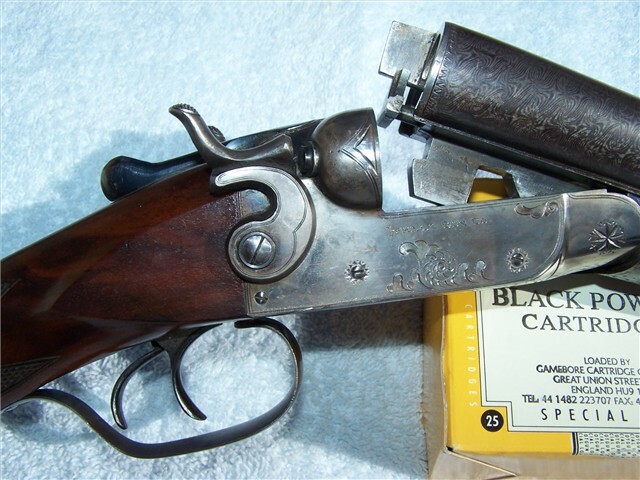 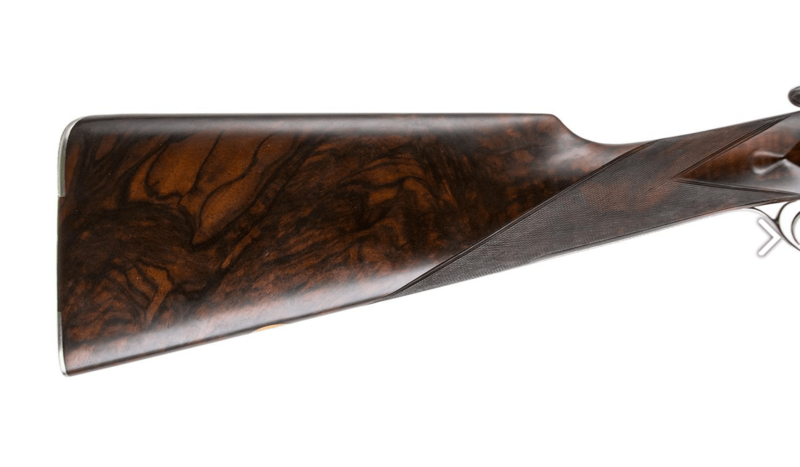 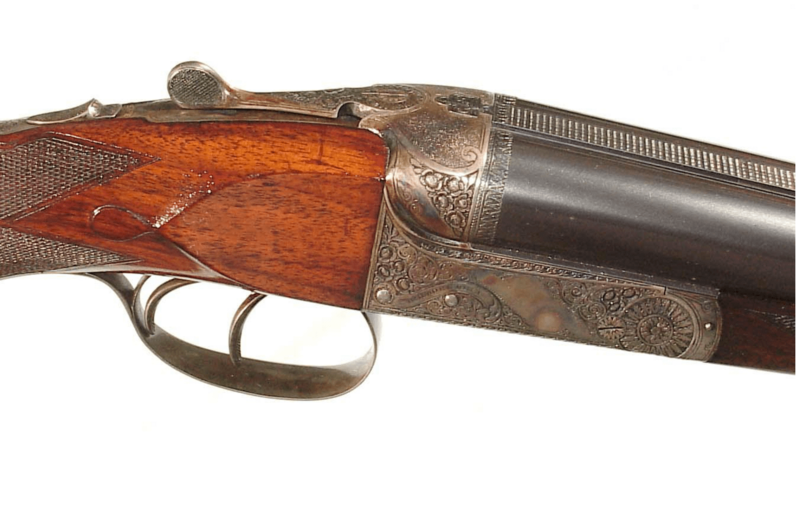 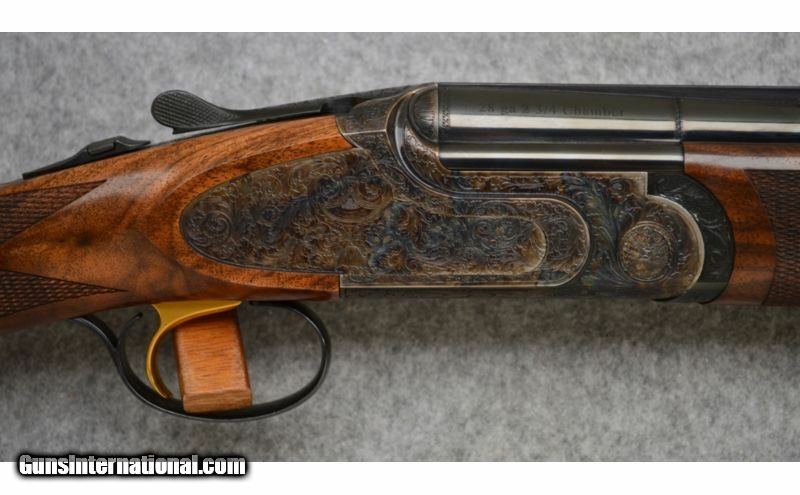 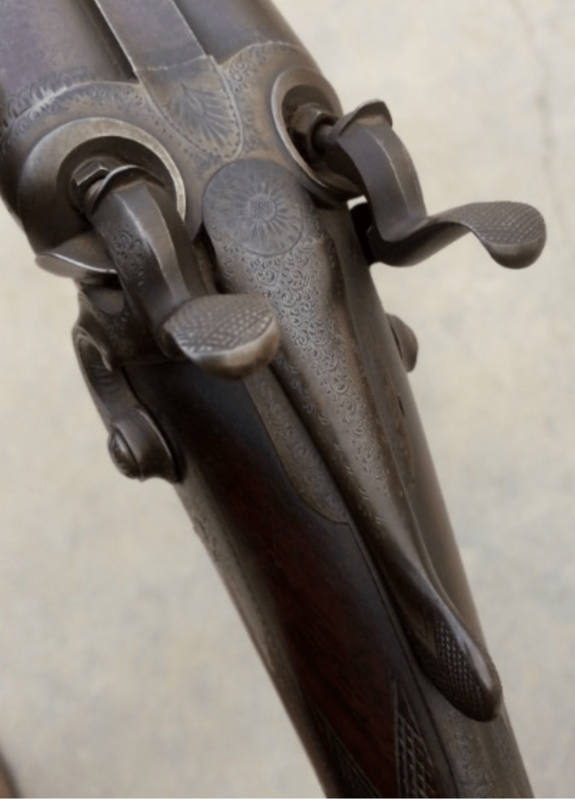 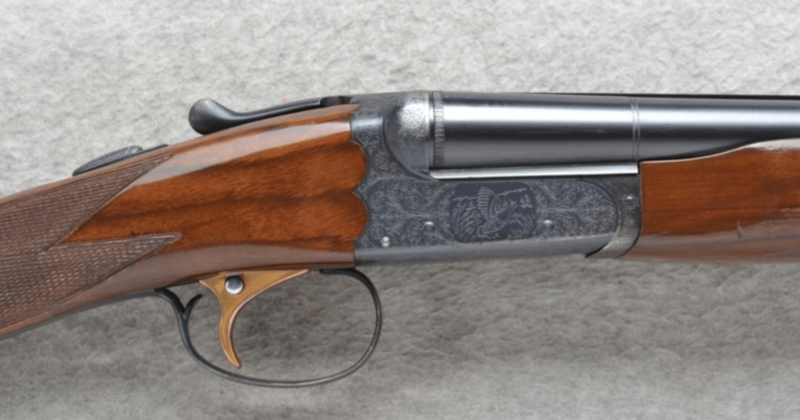 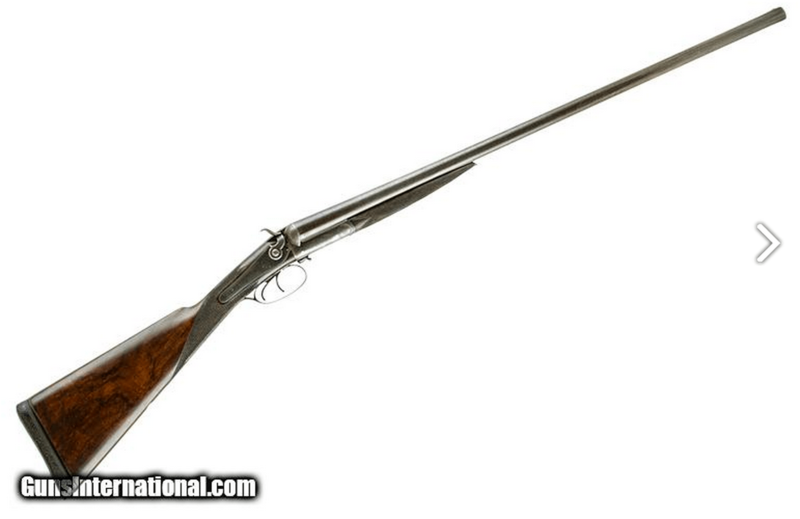 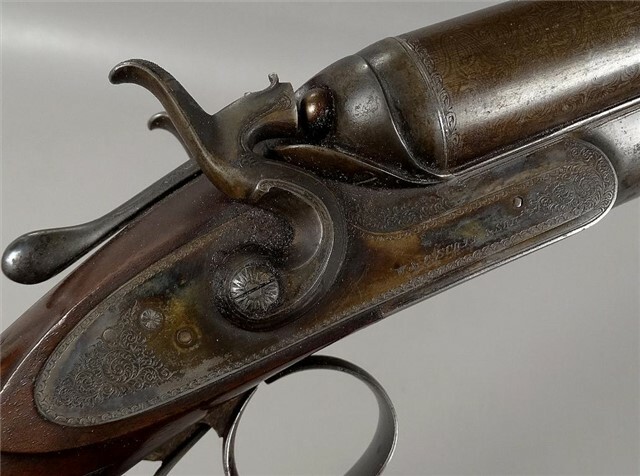 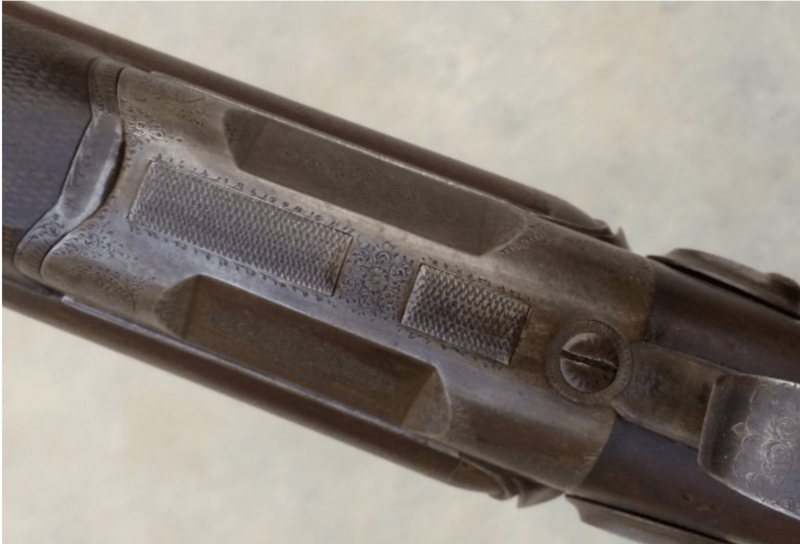 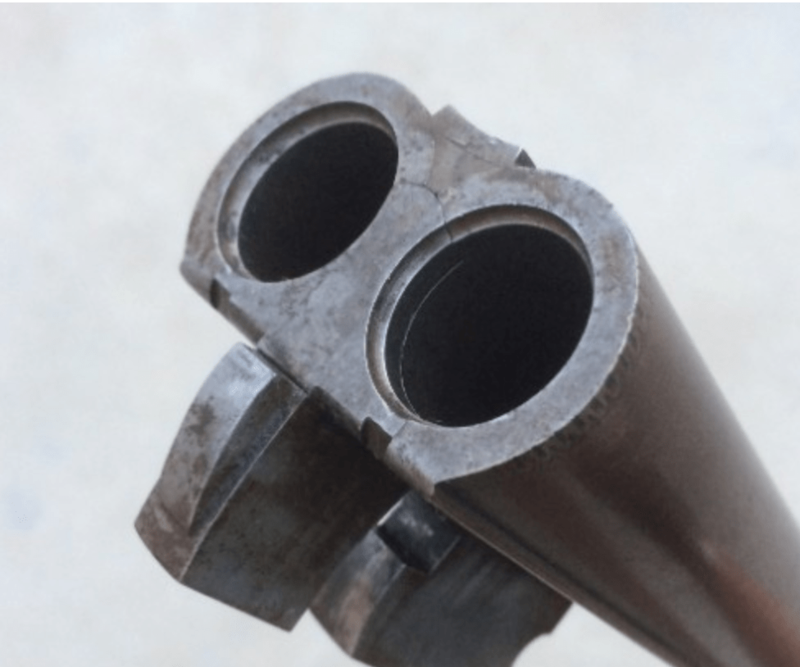 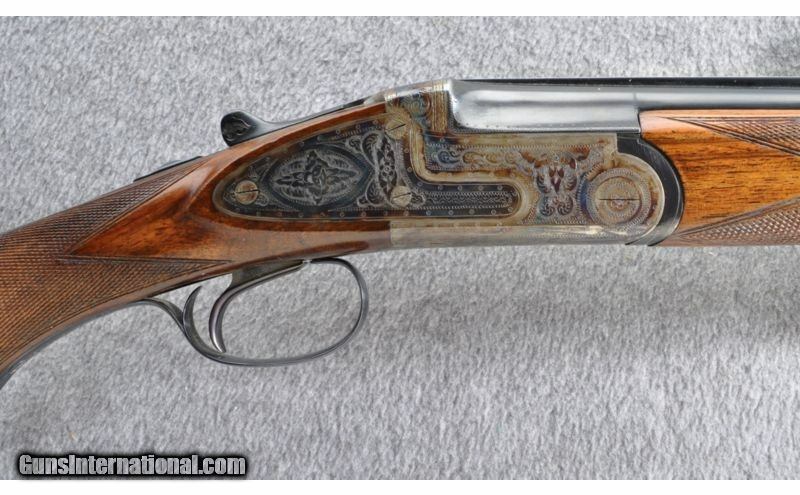 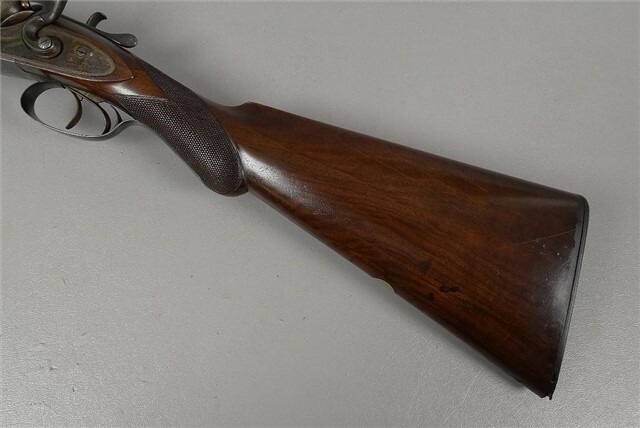 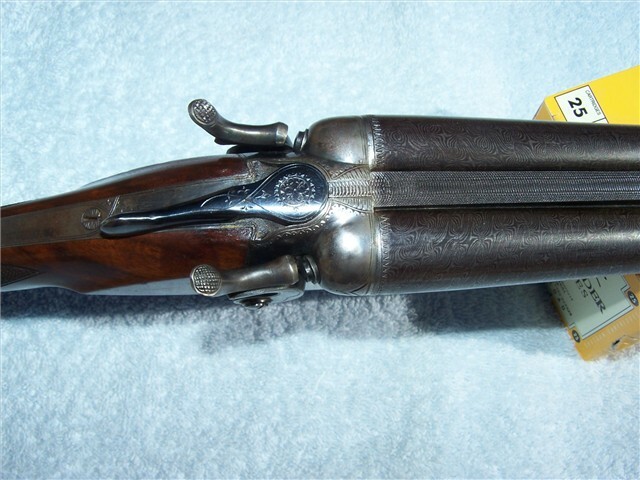 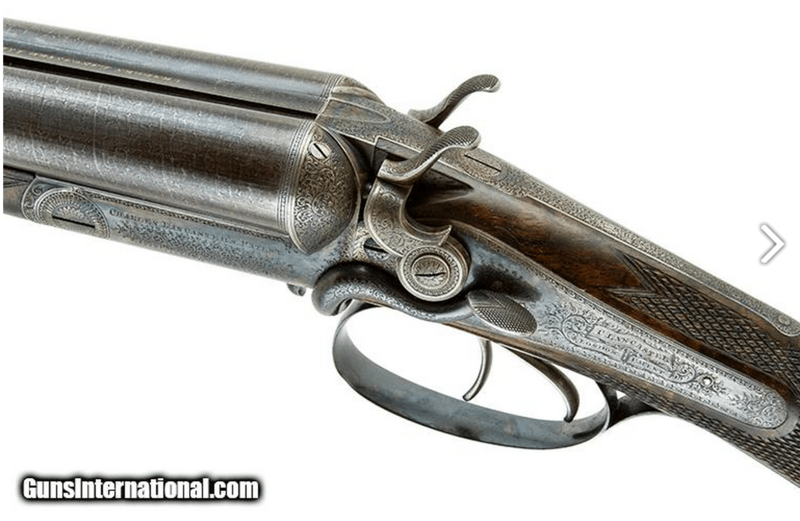 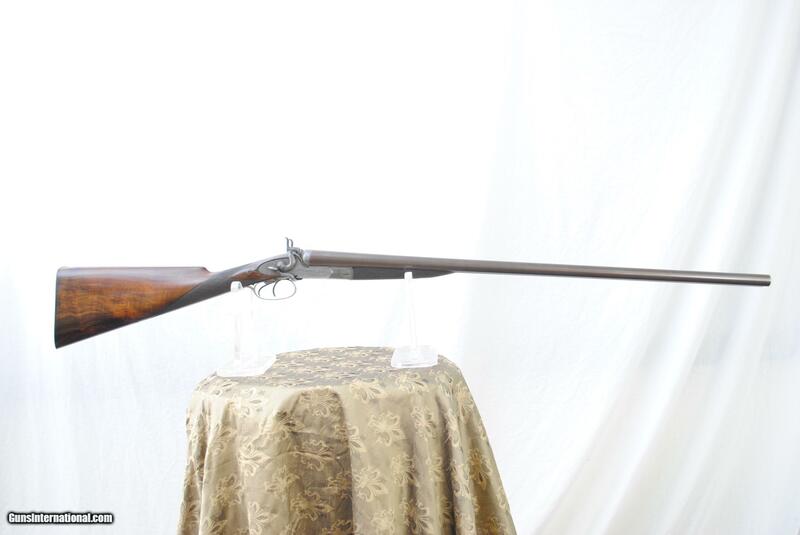 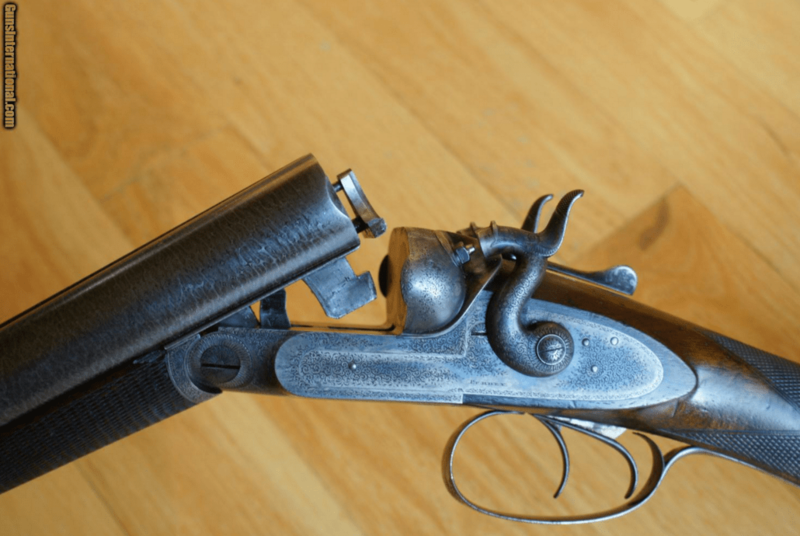 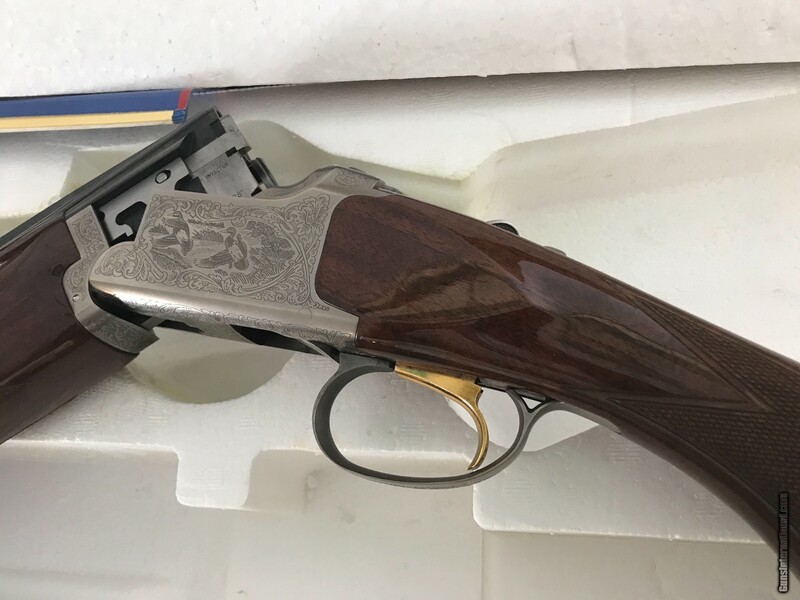 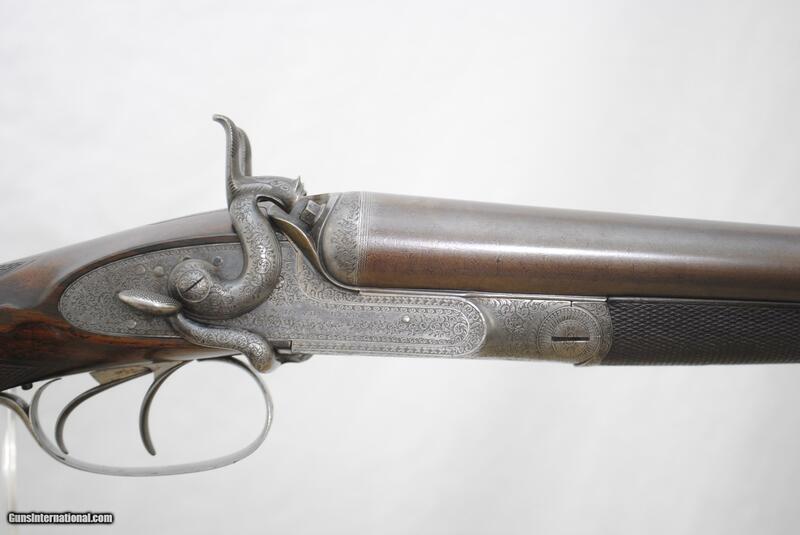 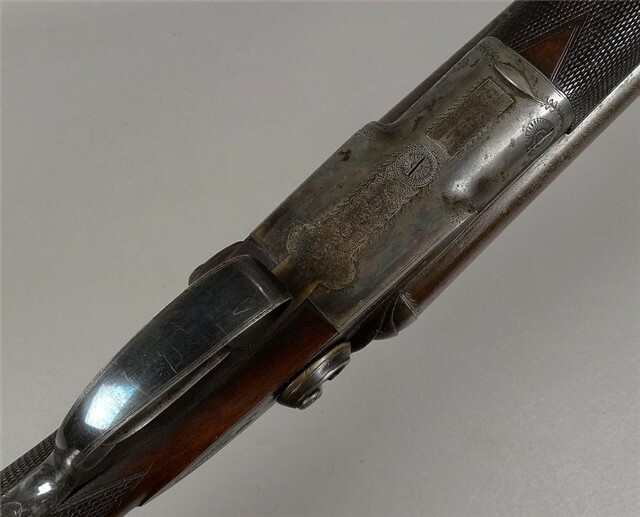 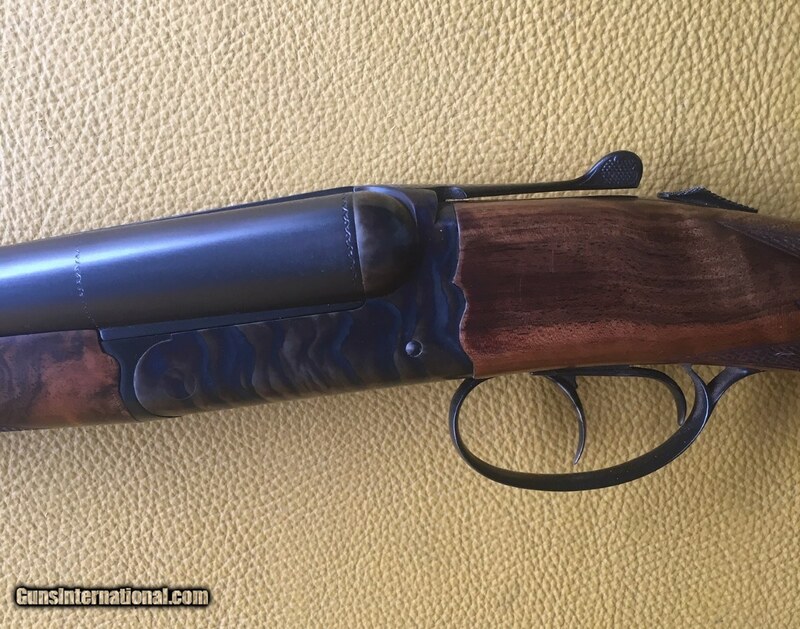 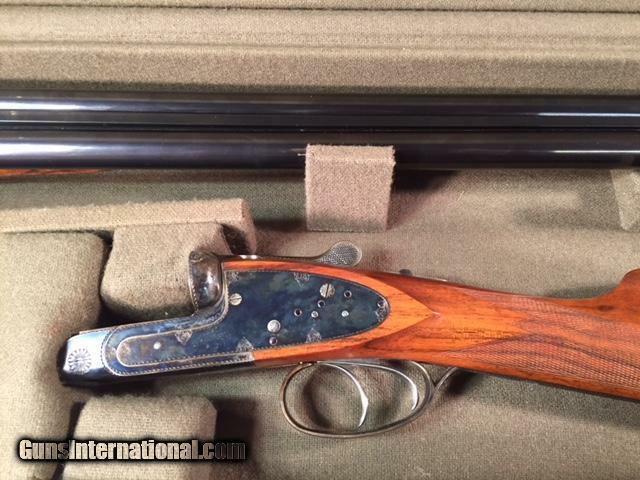 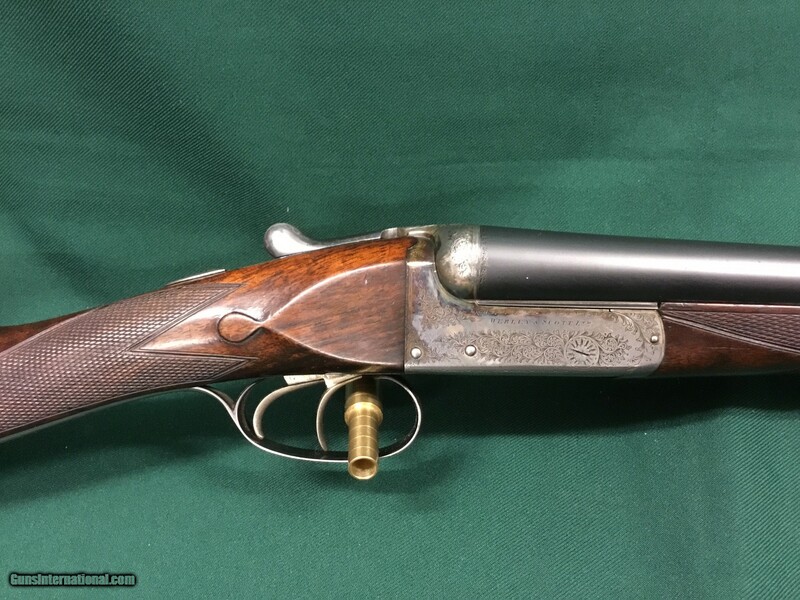 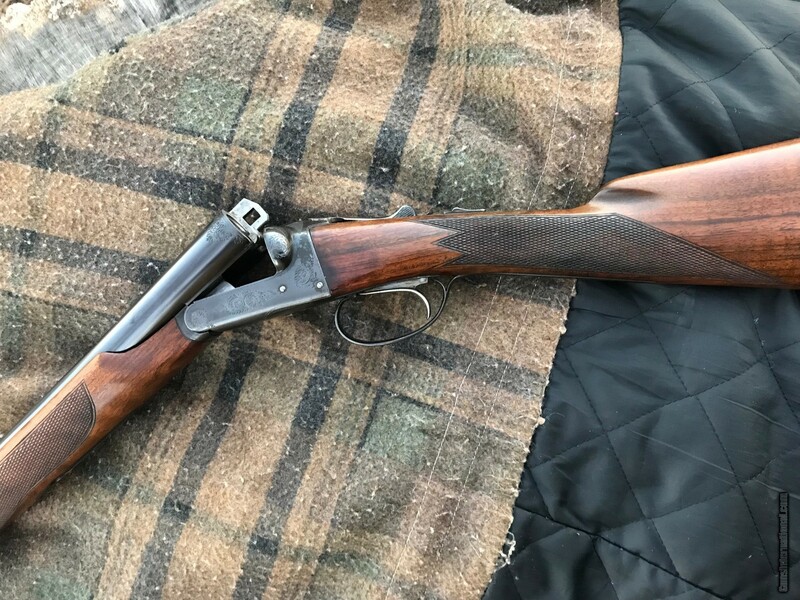 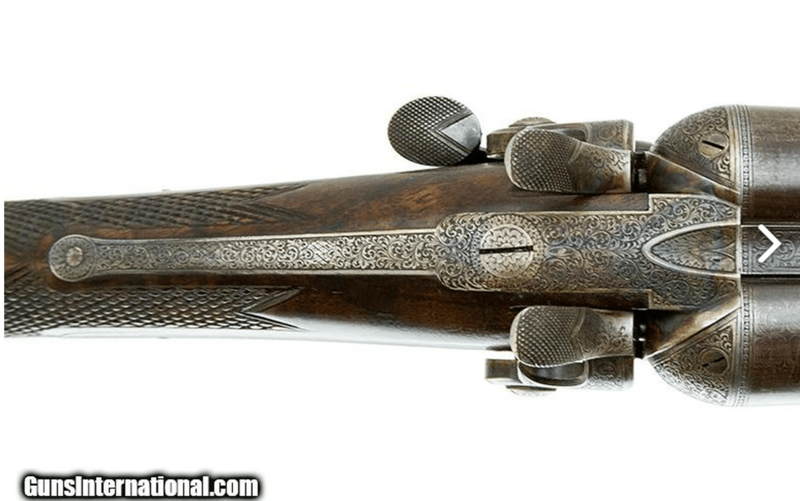 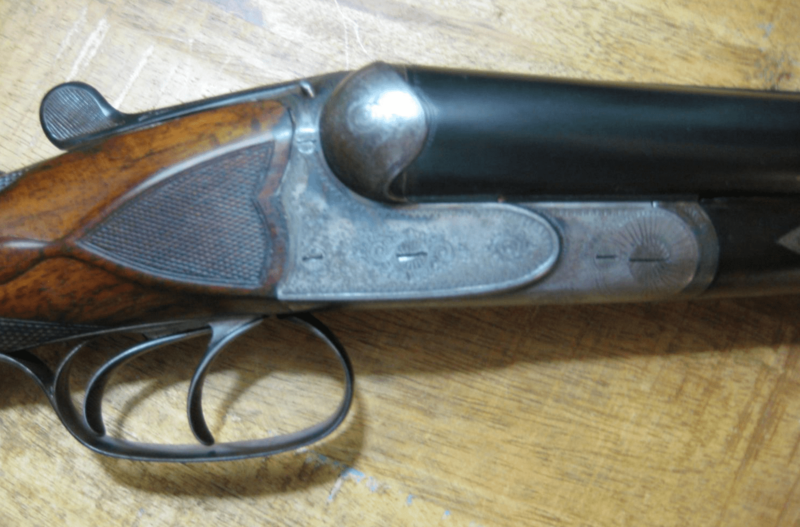 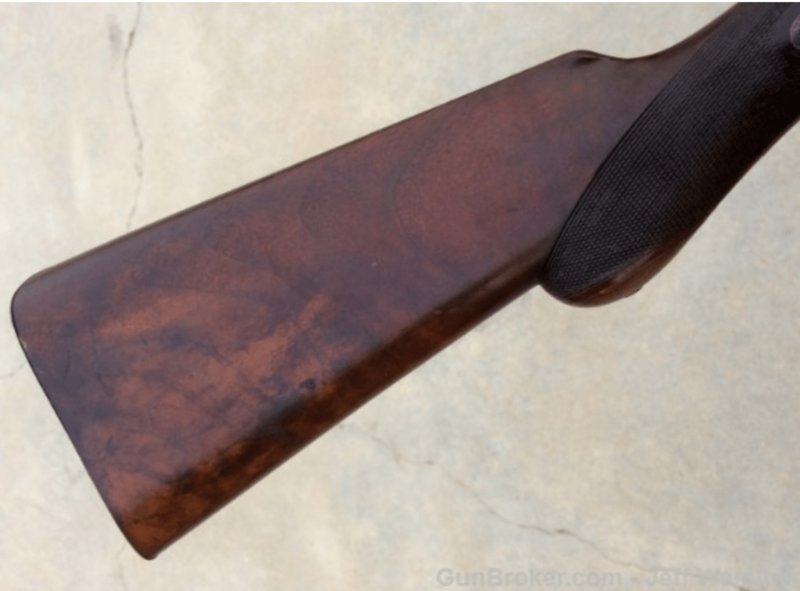 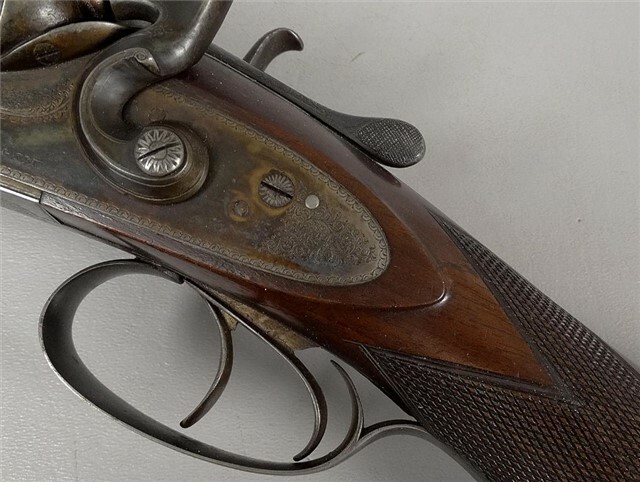 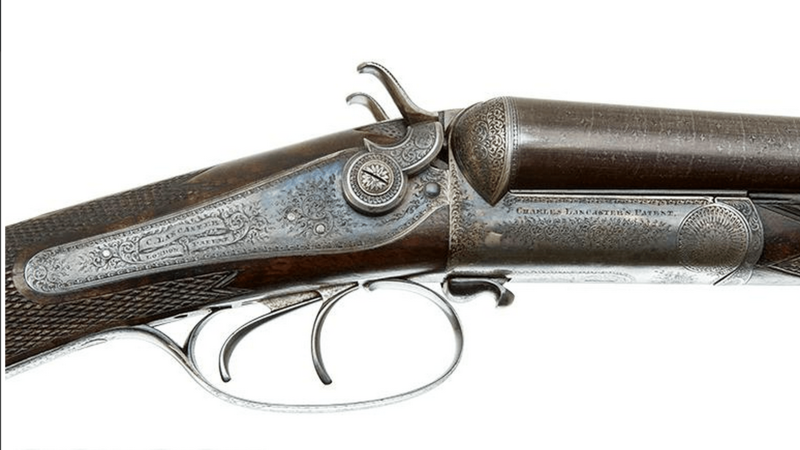 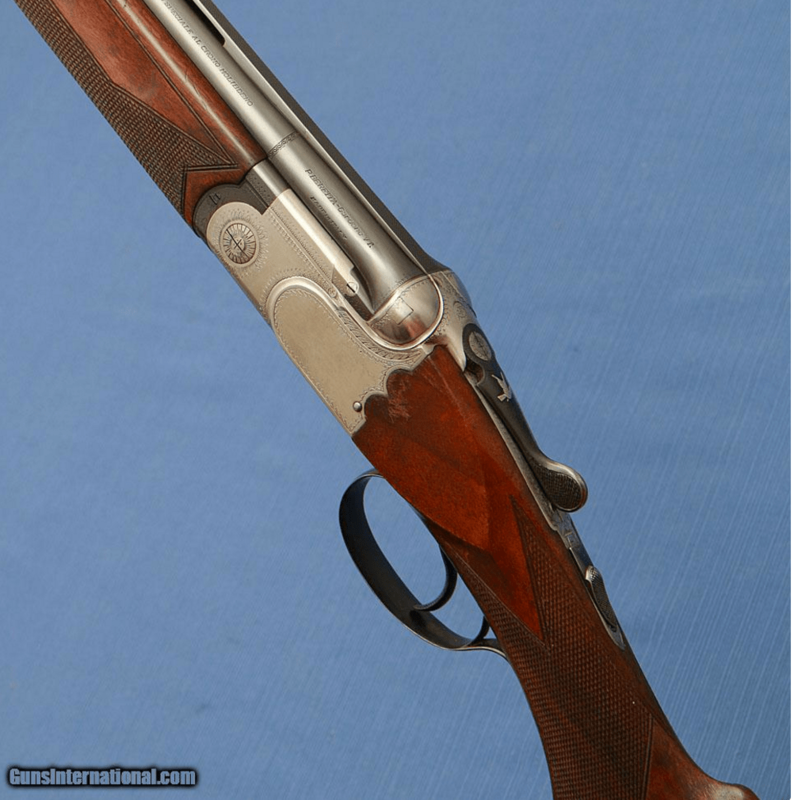 HENRY BENJAMIN – STEPHEN GRANT SIDELEVER – SxS – EXCEPTIONAL CONDITION – 30″ BARRELS: 12 gauge hammer gun utilizing the Stephan Grant Sidelever locking system. 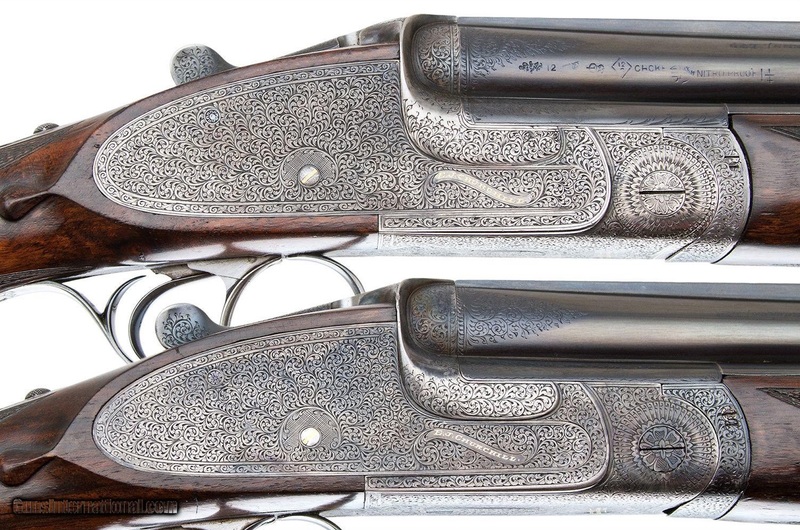 Exceptional quality in all ways equal to Maker Stephan Grant or better. 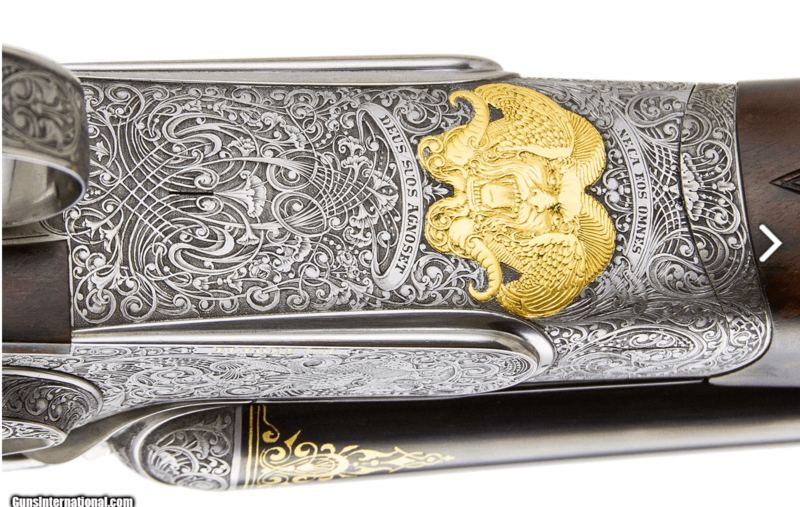 Original case colors and detailed tight English Scroll engraving. 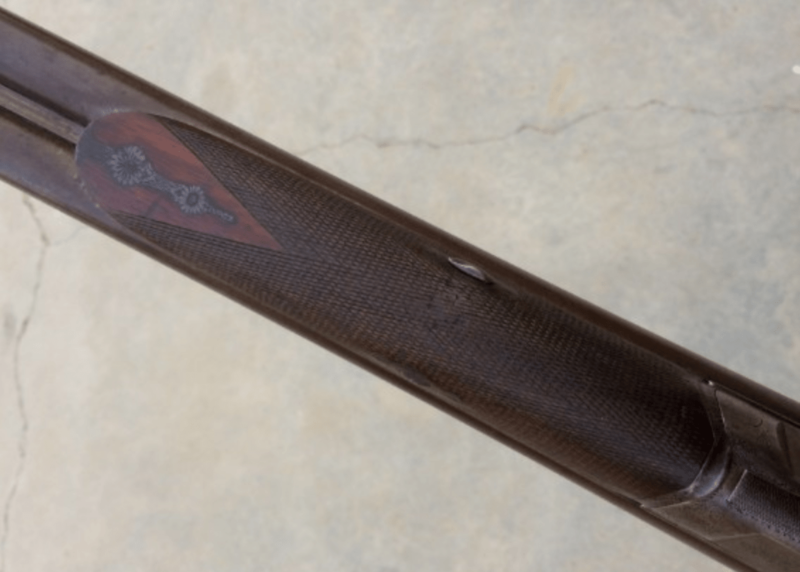 Barrels are 30″ fine damascus, proofed at “12” and retain their original bore diameter at .726 in each barrel. 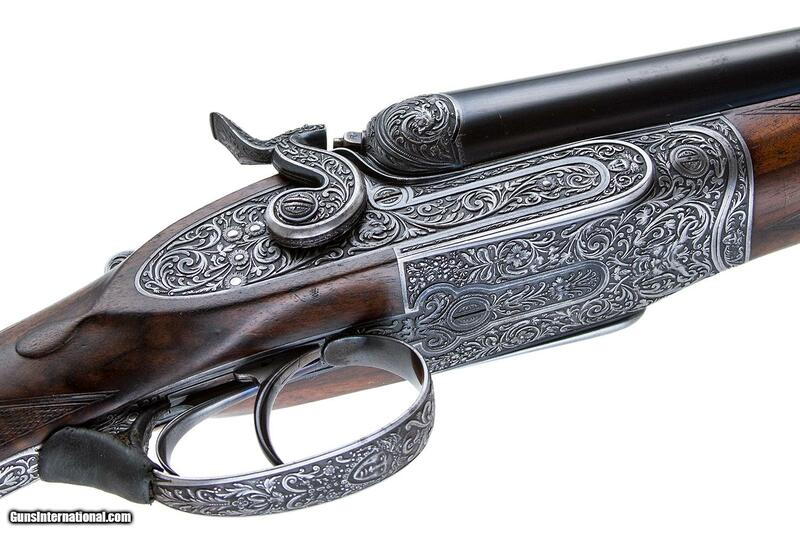 Excellent bores. 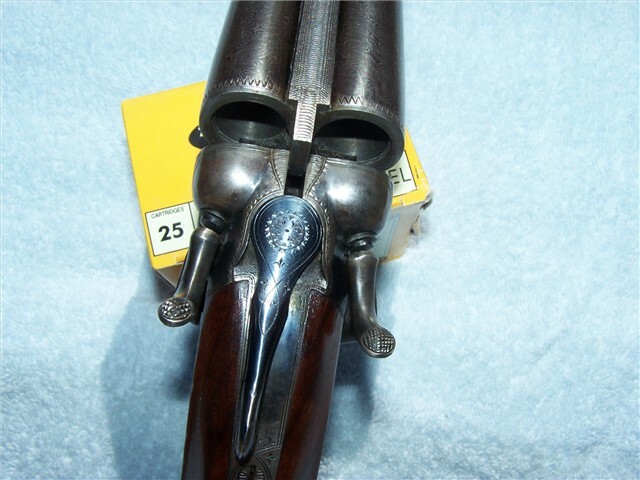 Chambers measure 2 3/4″. 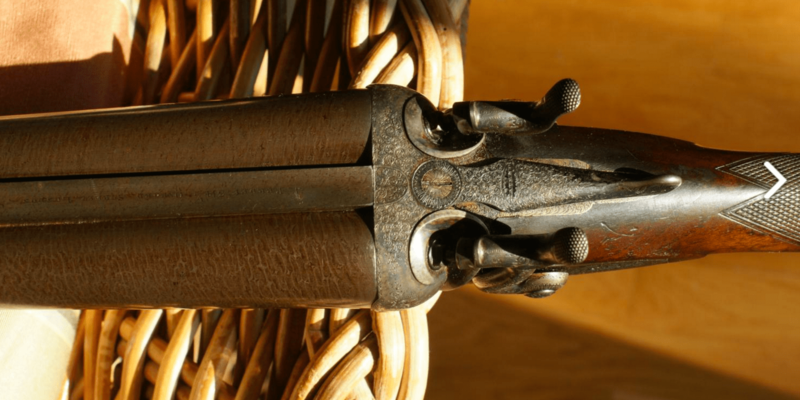 Chokes appear to be light IC in both barrels with about 5/1000 constriction. 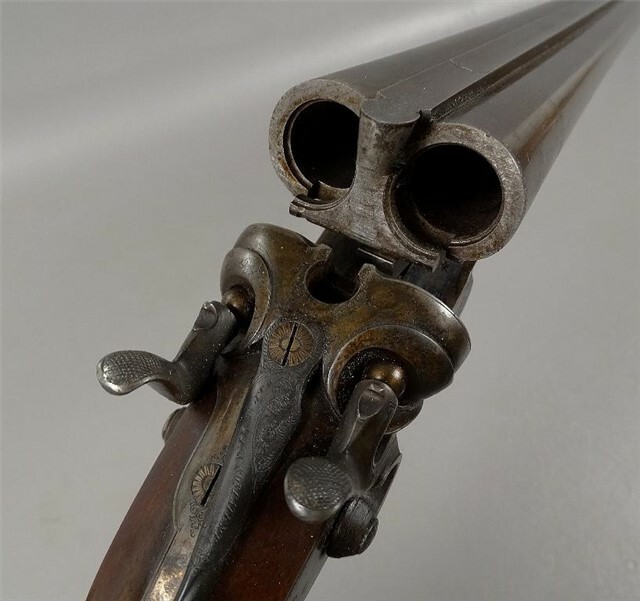 The mechanics of the gun are quite good also. 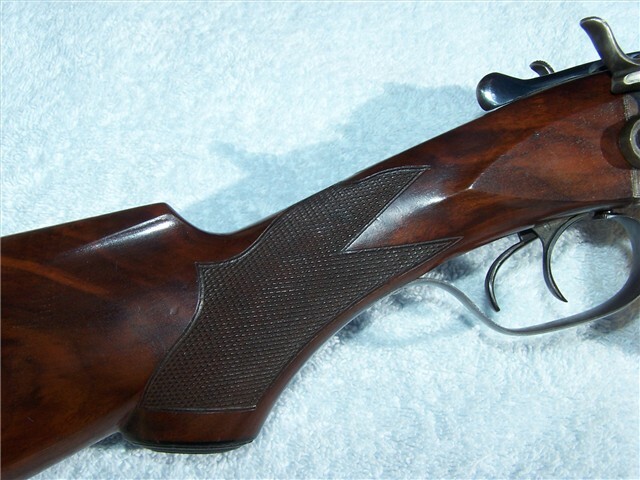 Tight and on the face. 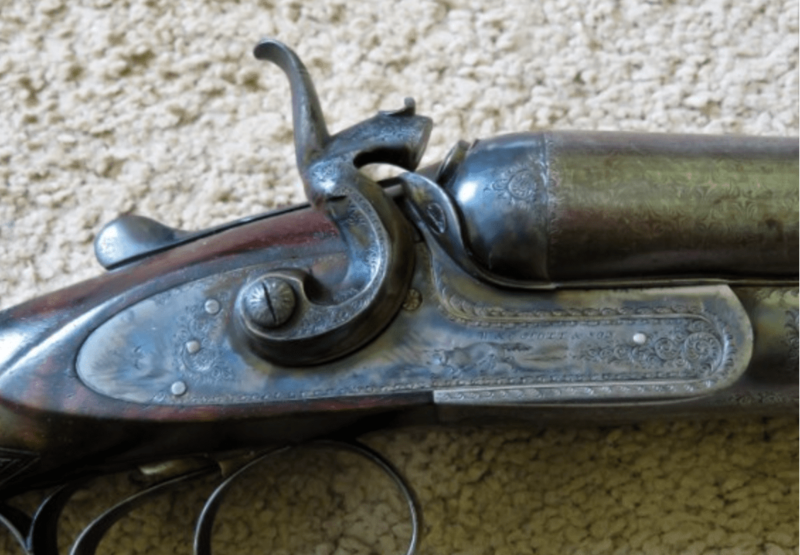 No loose ribs. 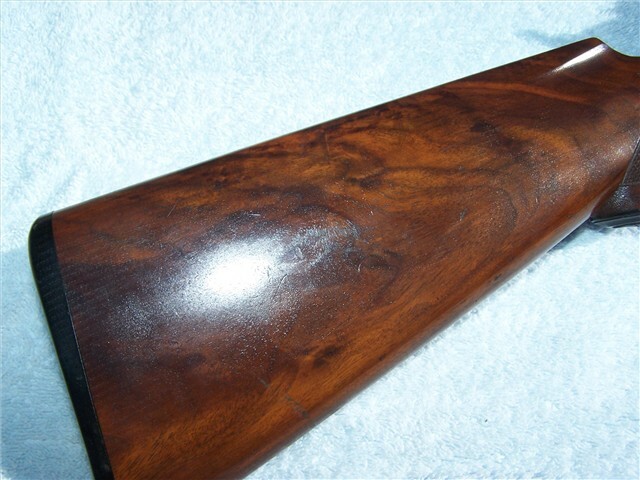 No cracks in the wood. 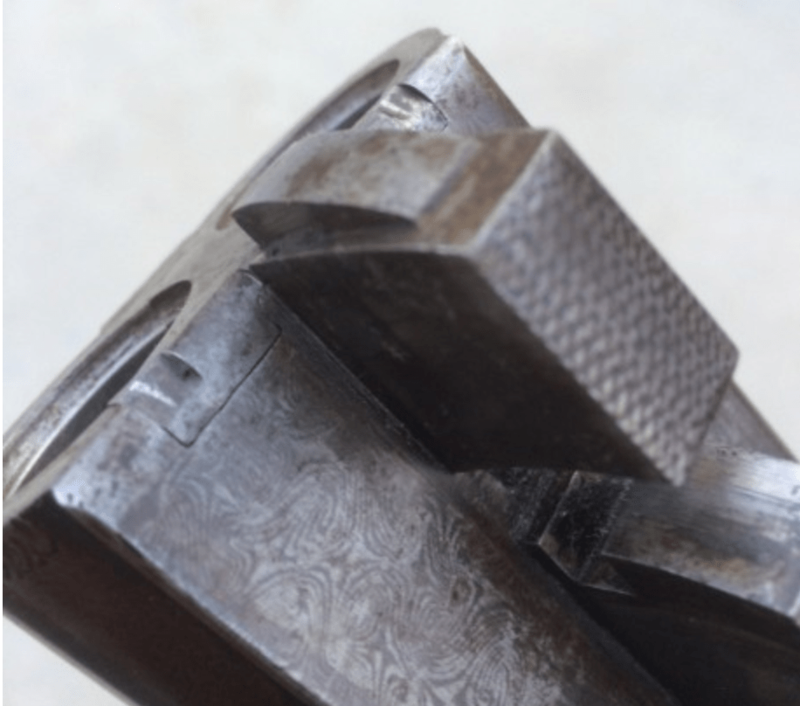 Rebounding hammers. 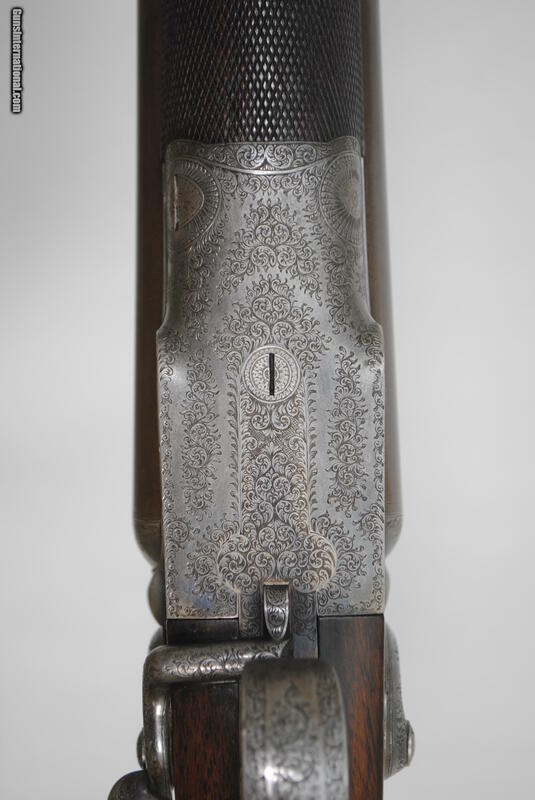 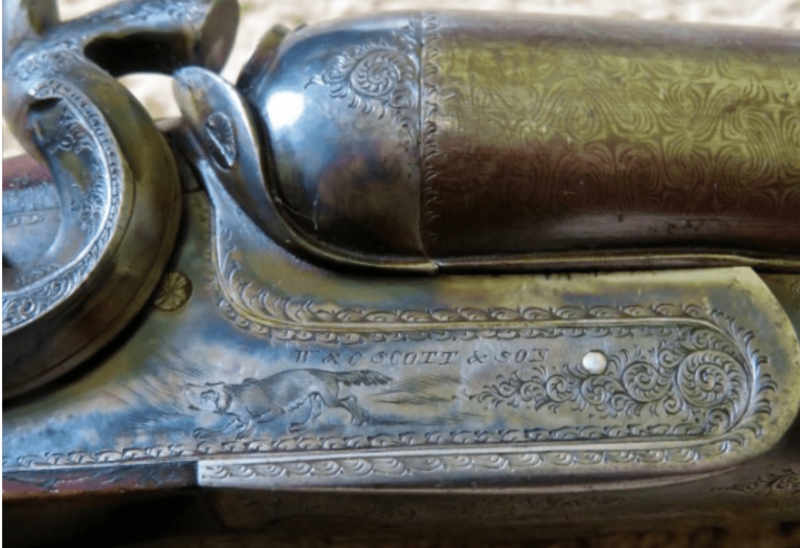 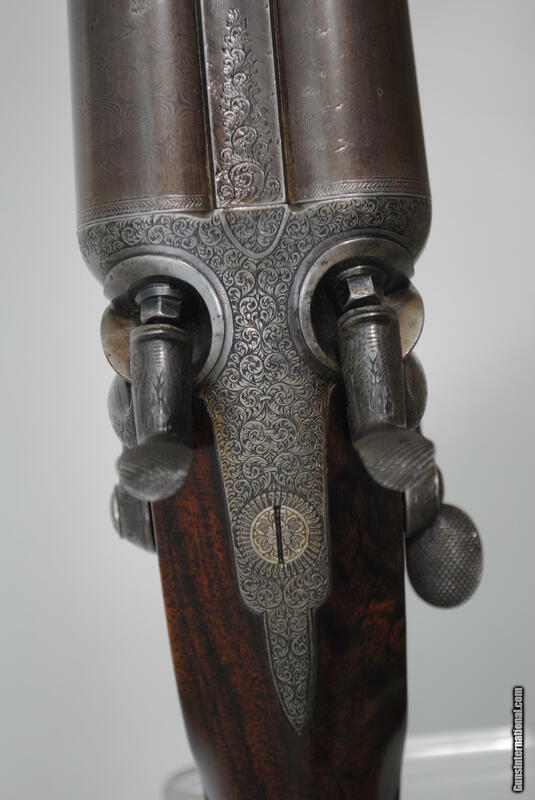 The forend latch is an elegant system patented by Scott (of WC Scott) in 1876. 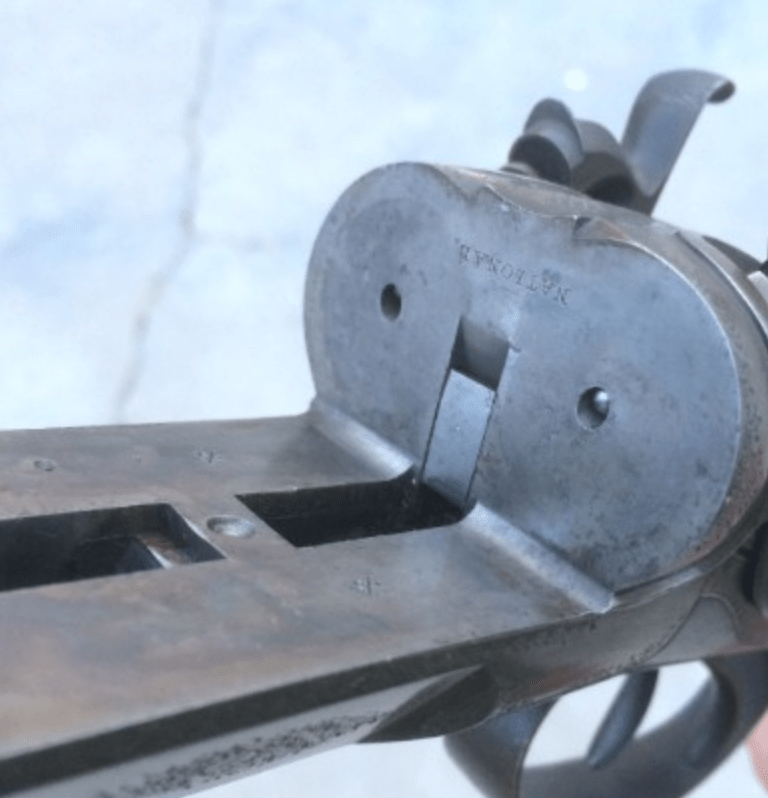 Breech face is clean with no corrosion. 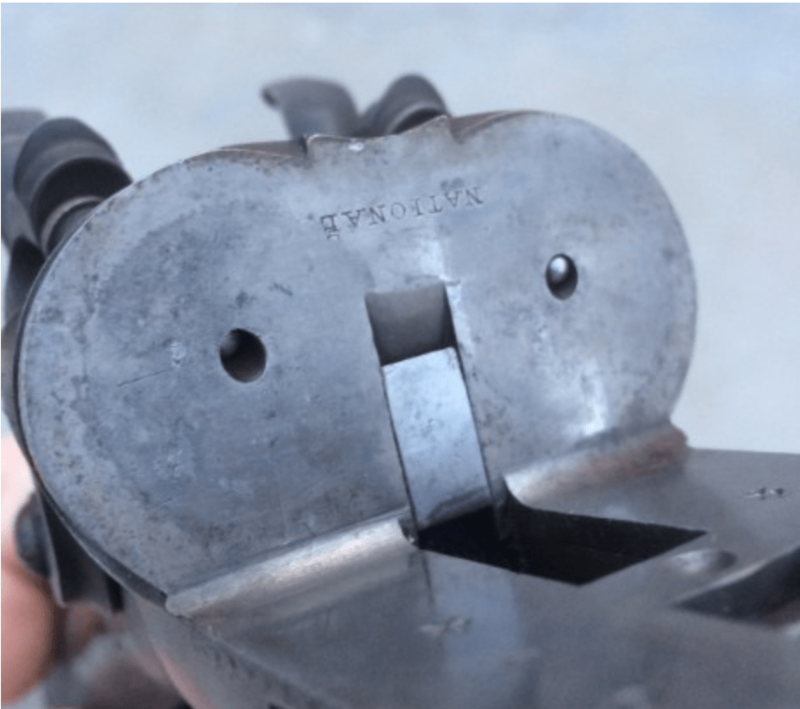 Wall thickness is good with a minimum of 32/1000. 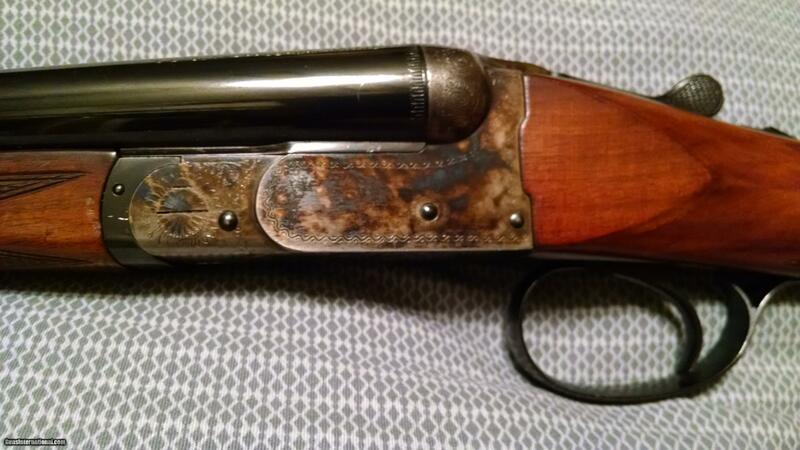 Weight is 6 LBS 14 1/8 OZ. 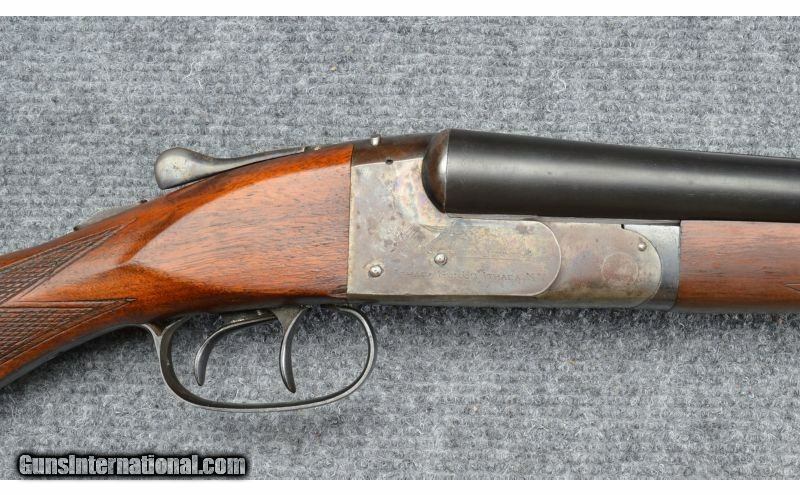 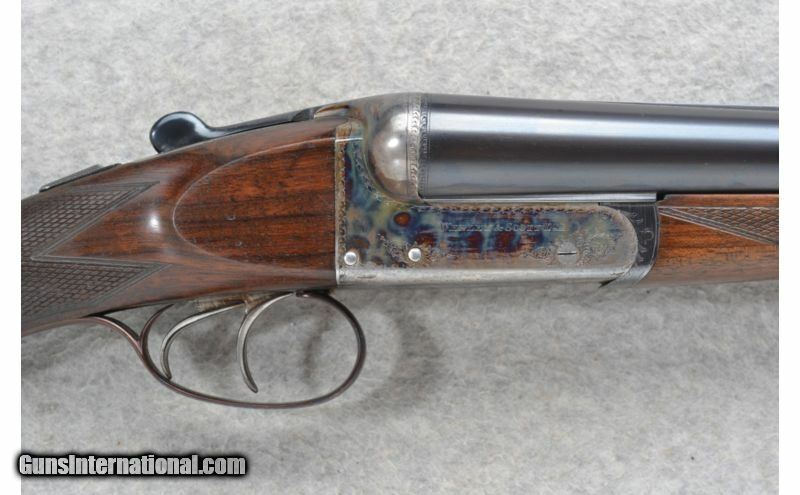 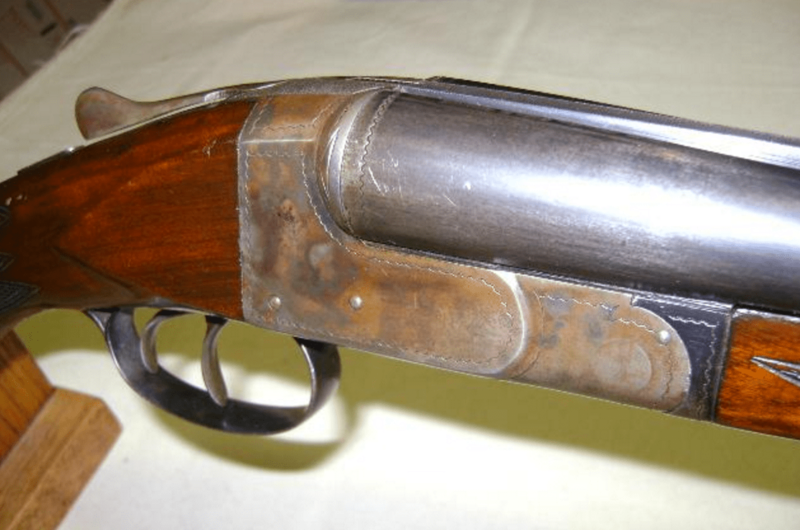 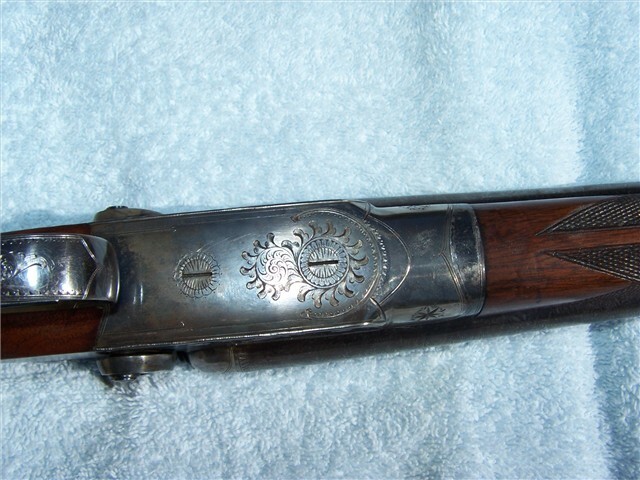 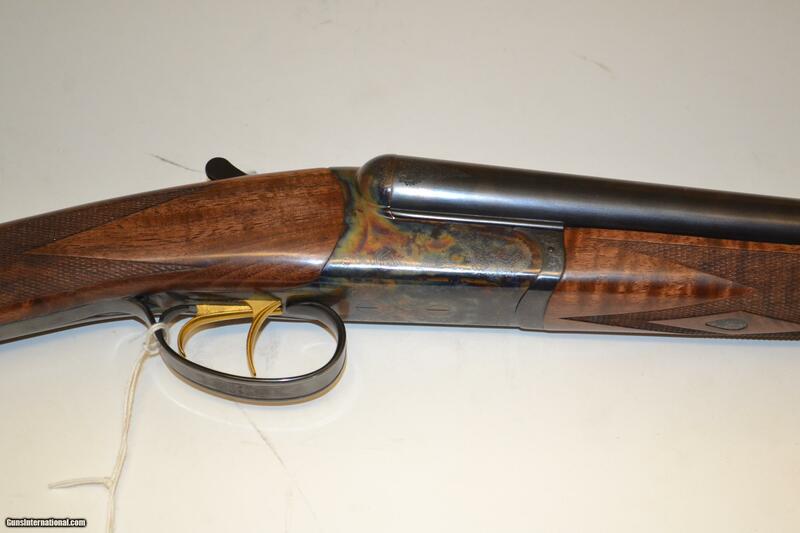 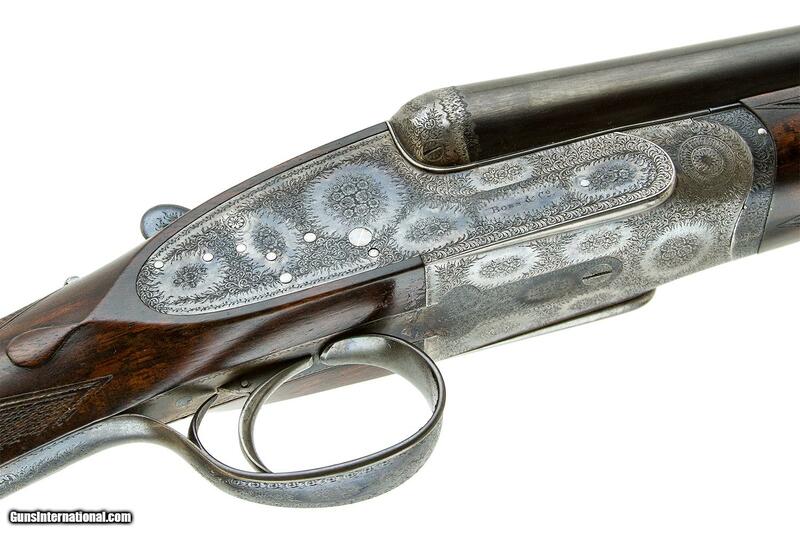 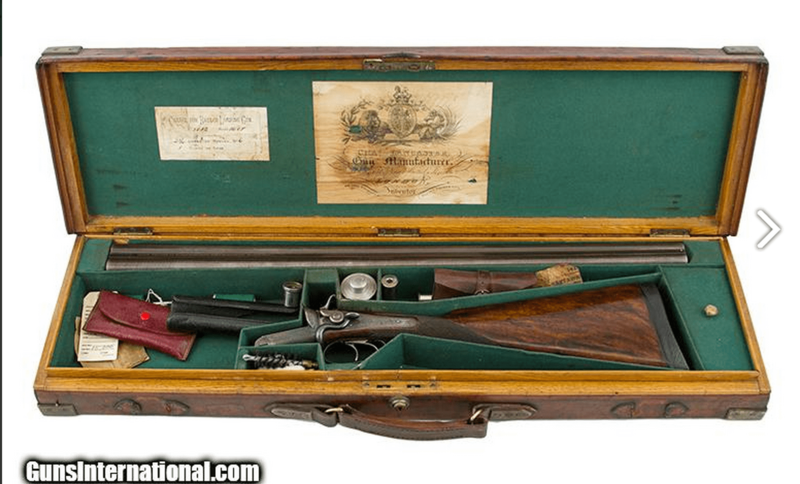 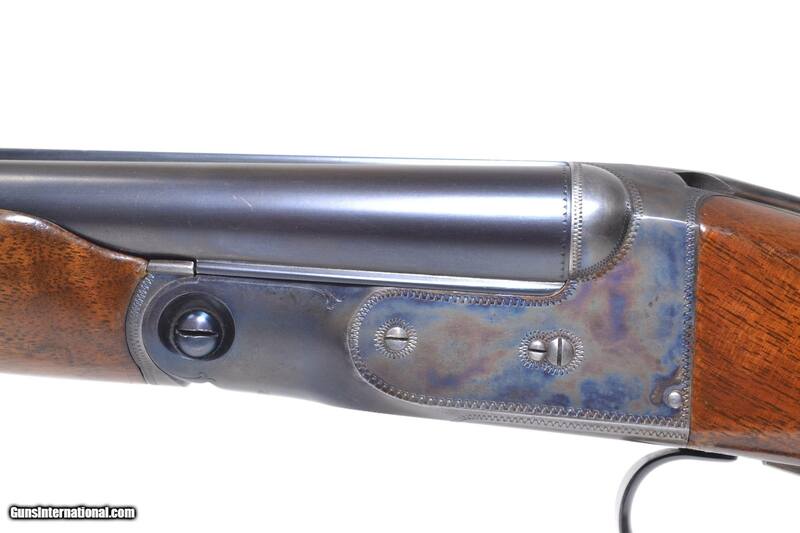 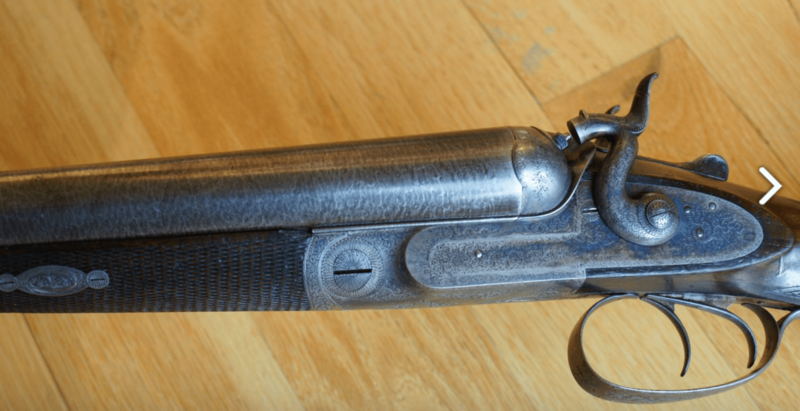 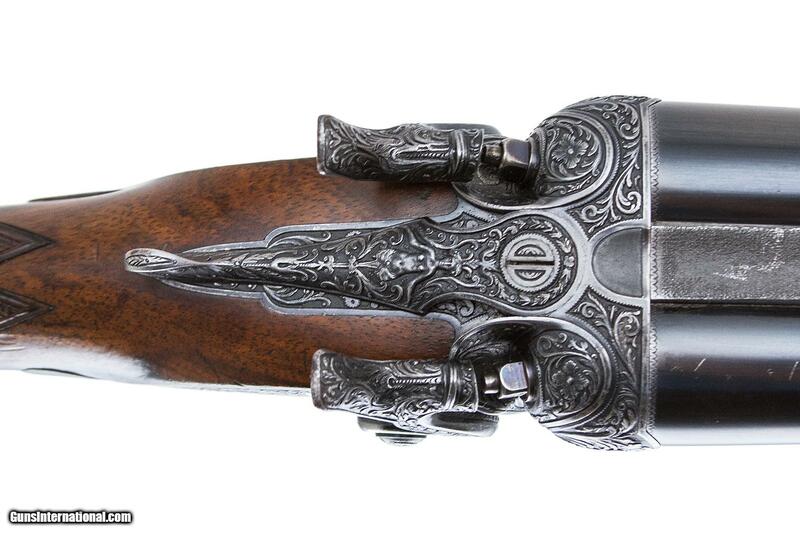 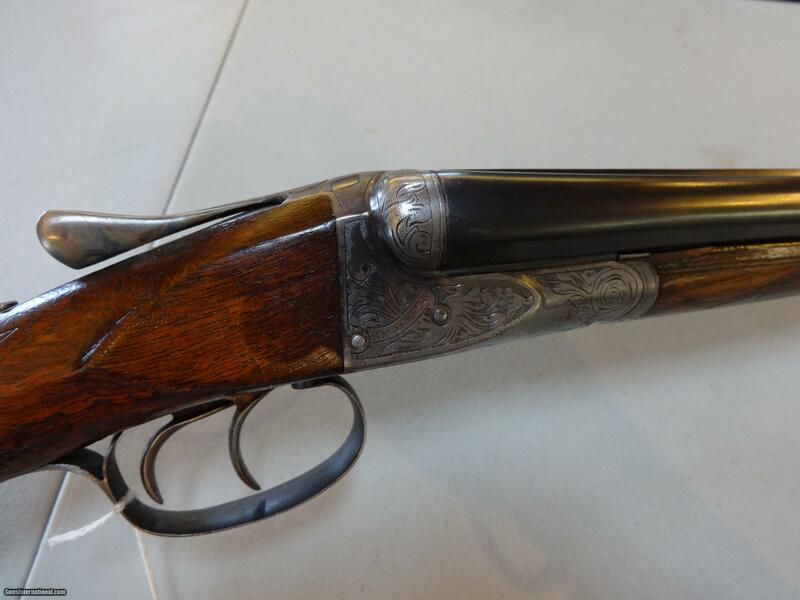 Here’s a fascinating old shotgun in incredible original condition. 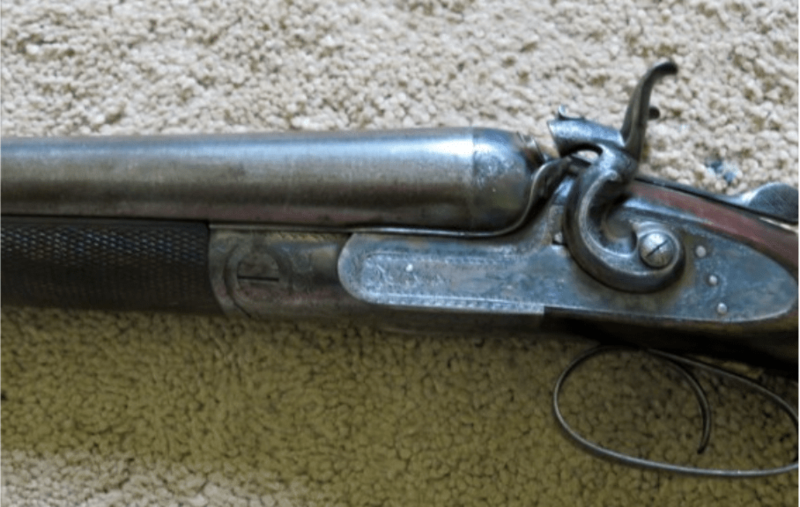 It’s a Charles Lancaster SxS hammergun, and I’m guessing it’s from the early 1870s. 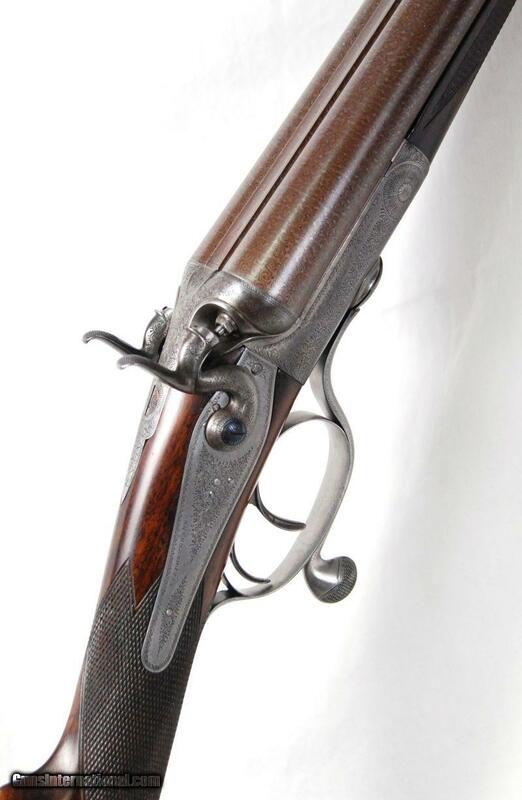 Charles Lancaster started out in the London gun trade in 1811 as a barrel maker. 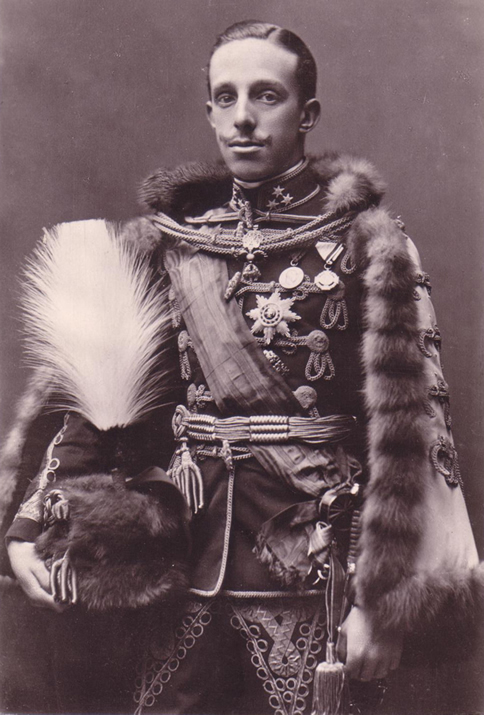 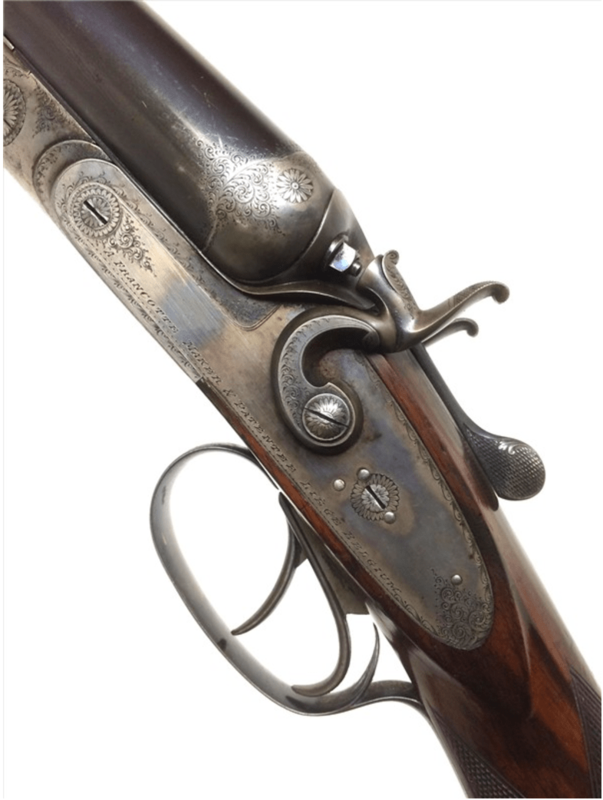 Soon he was known as the best in the business, and his barrels were being used by the top gunmakers of the day, including Manton and Purdey. 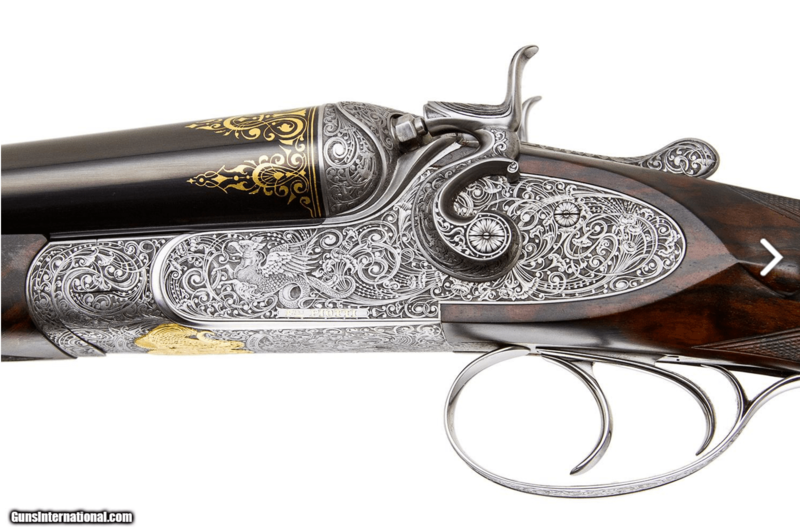 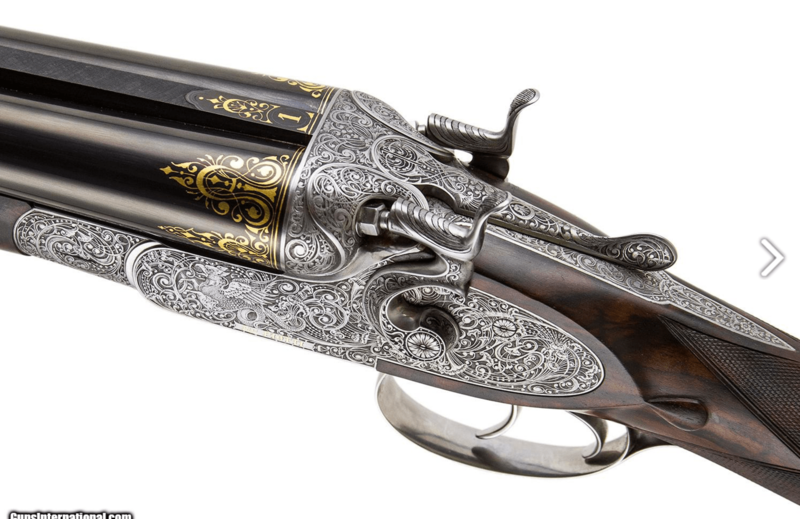 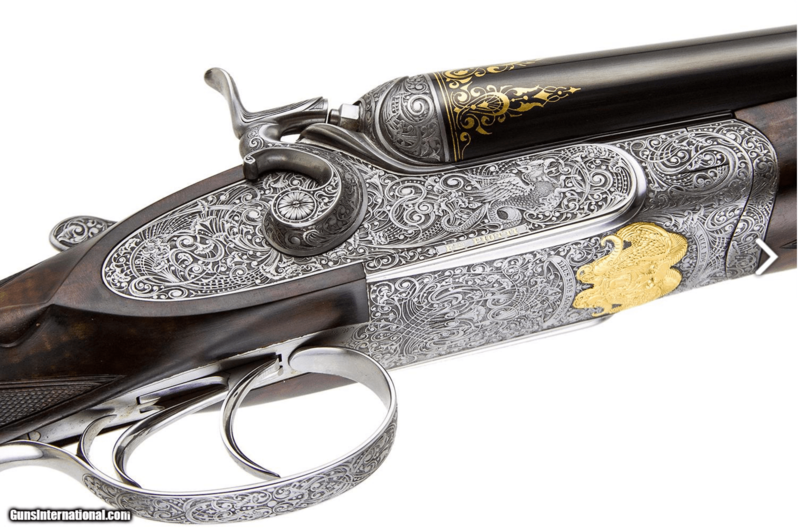 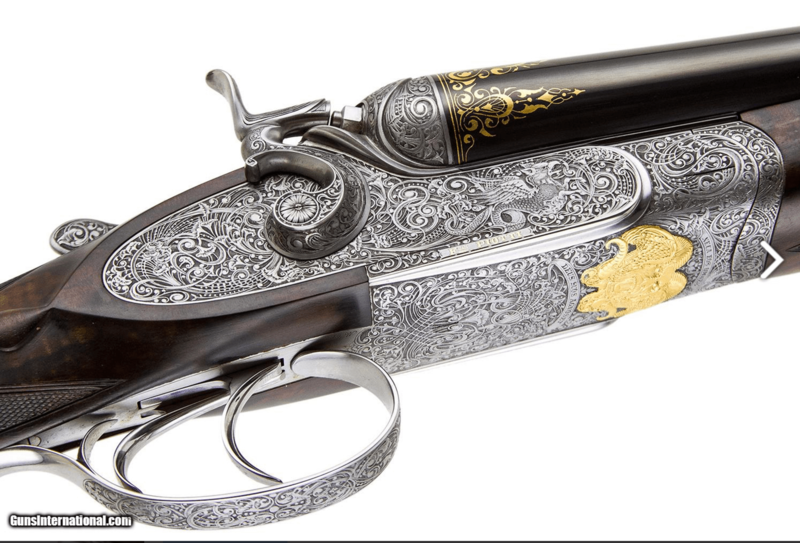 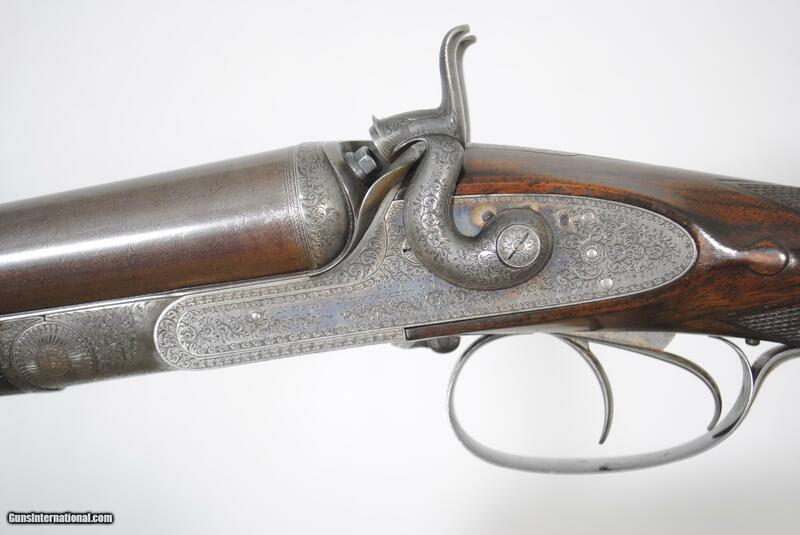 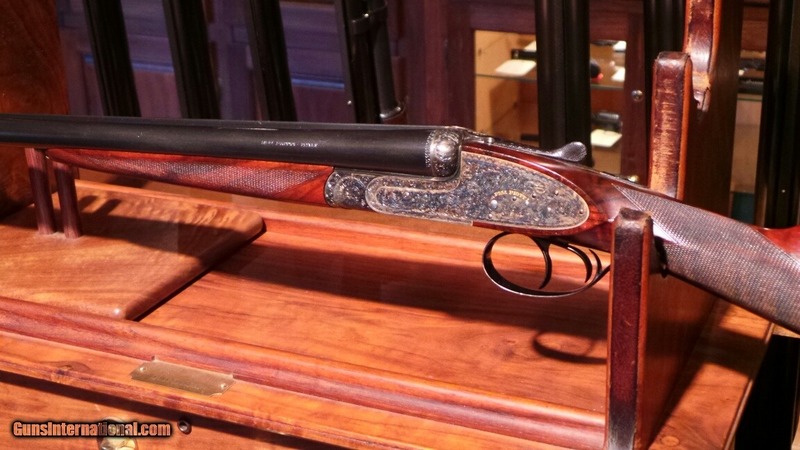 In 1826, Charles Lancaster launched his own gunmaking business at 151 New Bond Street, London. 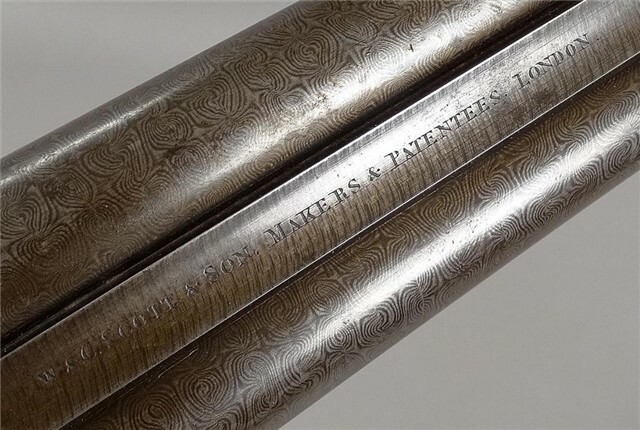 After his death in 1847, his business was taken over by his sons: Charles William and Alfred (who left to start his own firm in 1860). 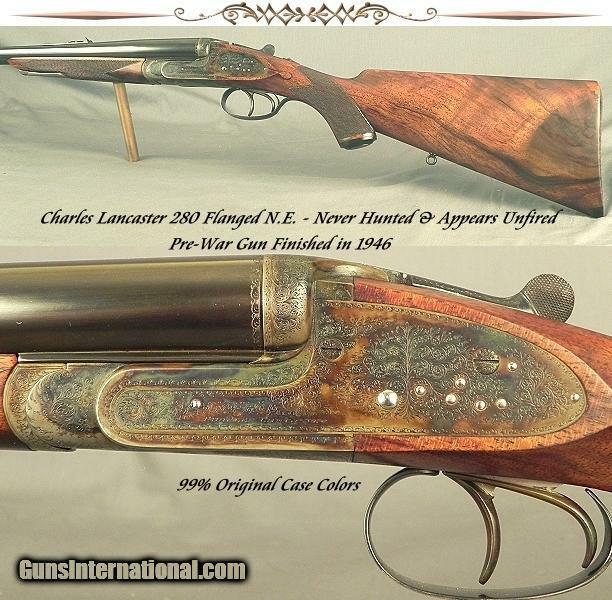 Charles William Lancaster run his father’s business until his death in 1878. 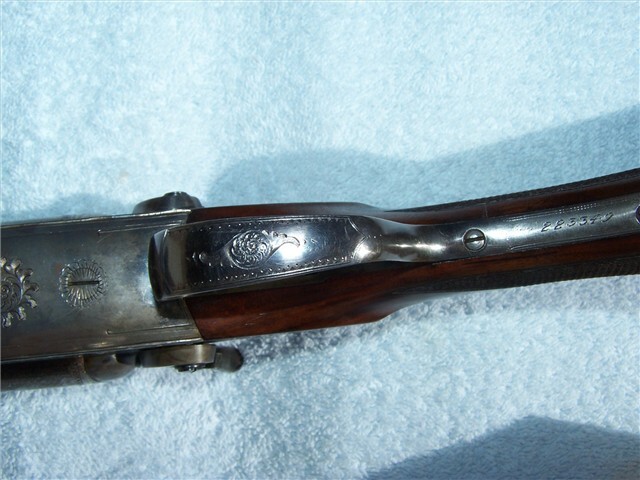 Henry Alfred Alexander Thorn, one of Charles William Lancaster former apprentices, purchased the business in 1879 and renamed it Charles Lancaster and Co.
Charles William Lancaster came up with a number of unique designs, including the Pillar Breech Rifle (1848), Oval Bore Rifling (1850) and the Gas Check Bullet (1851). 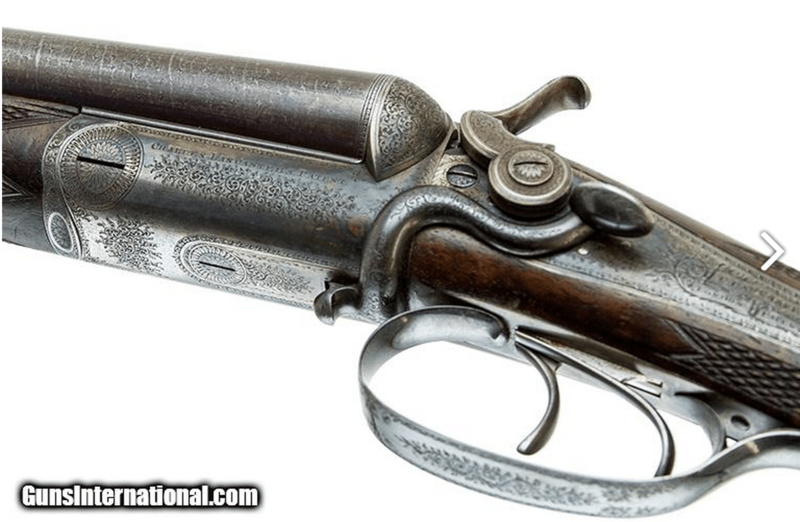 In 1853, he came up with the Base-fire cartridge – the first true centerfire cartridge ever developed. 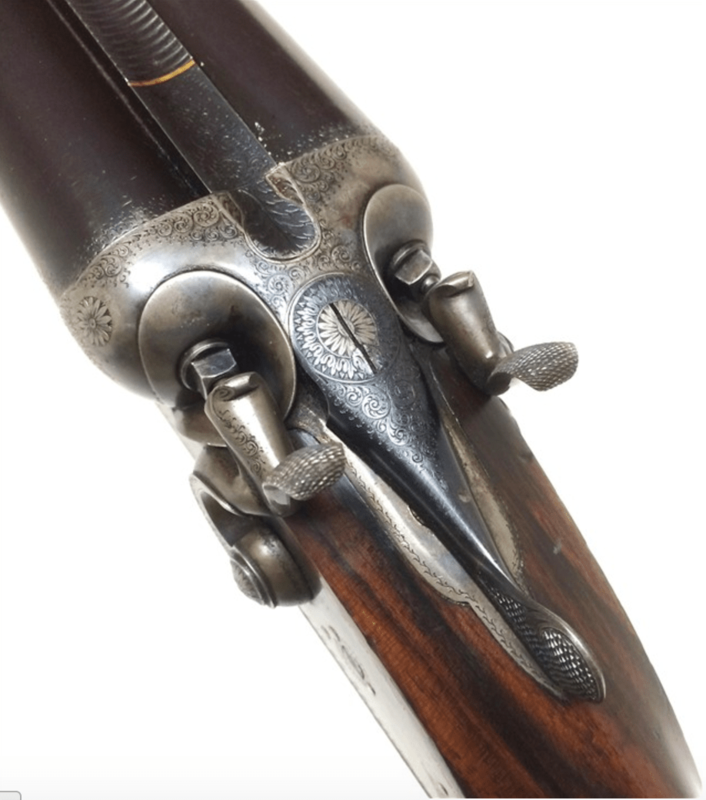 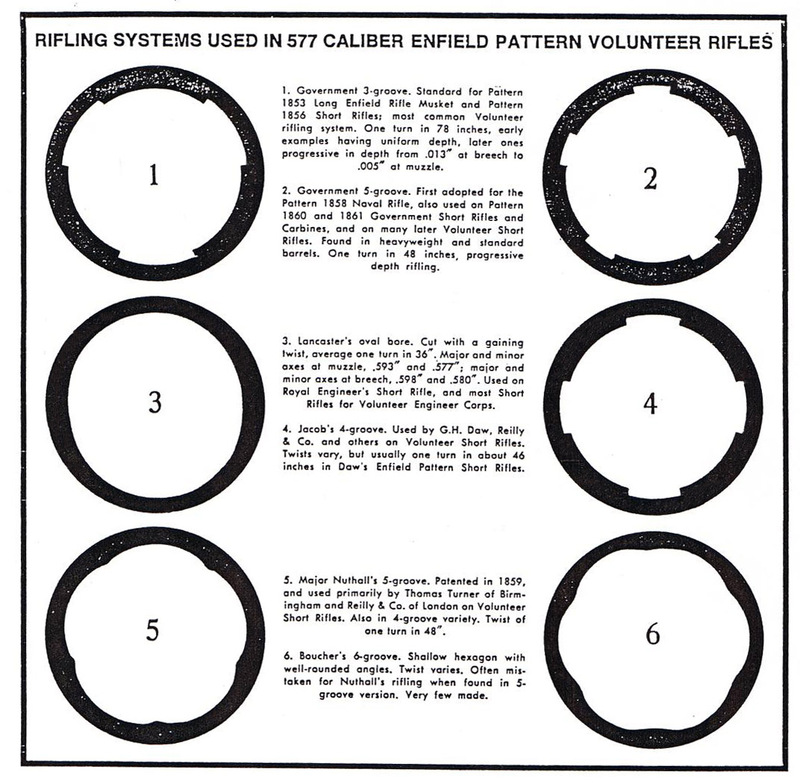 On the original base-fires shotguns, the barrels slide forward from the action and then dropped down when the gun opened. 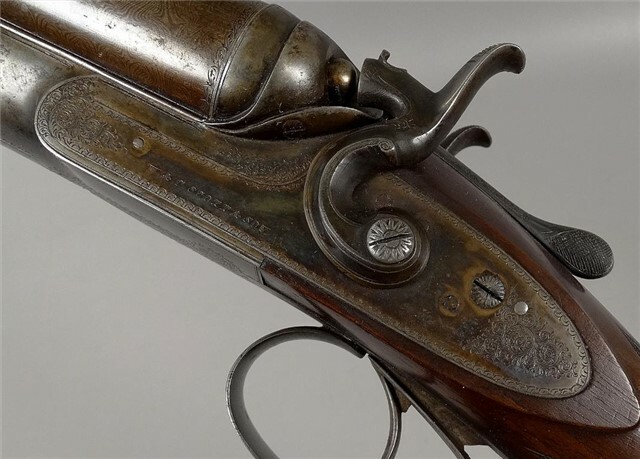 This guns isn’t a base fire, but it incorporates the low hammers and in-line firing pins that were two of the signatures of Lancaster’s base-fire design.